The general picture of Armenian education in the Harput plain is very impressive. 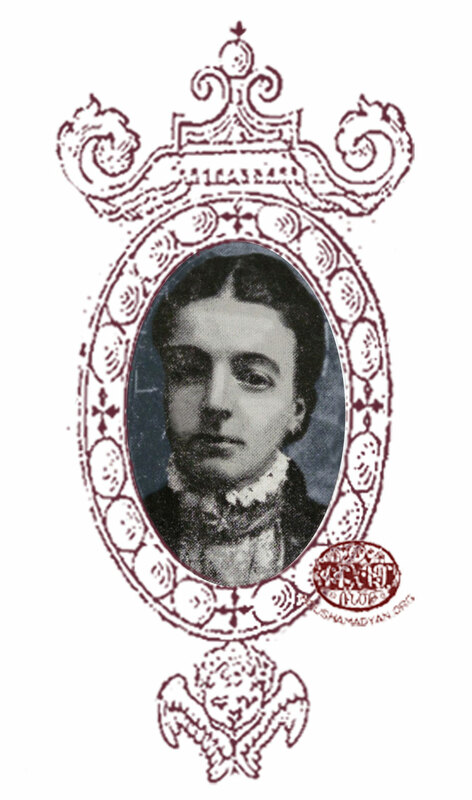 The whole region, at the beginning of the 20th century, has a superb and vast network of boys’ and girls’ schools. Almost all the Armenian villages have their own schools that are no longer old-fashioned centres of elementary education, but are generally two-storey modern buildings constructed in the newest style. 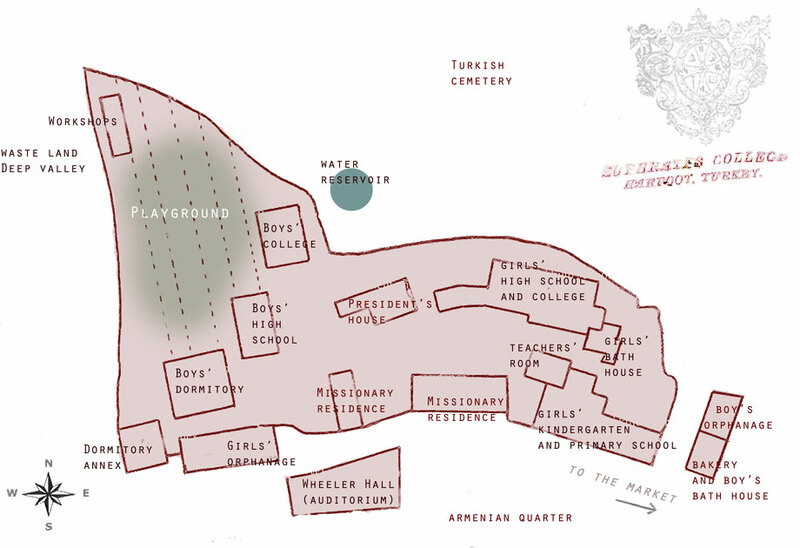 In the towns, each Armenian quarter has more than one school. 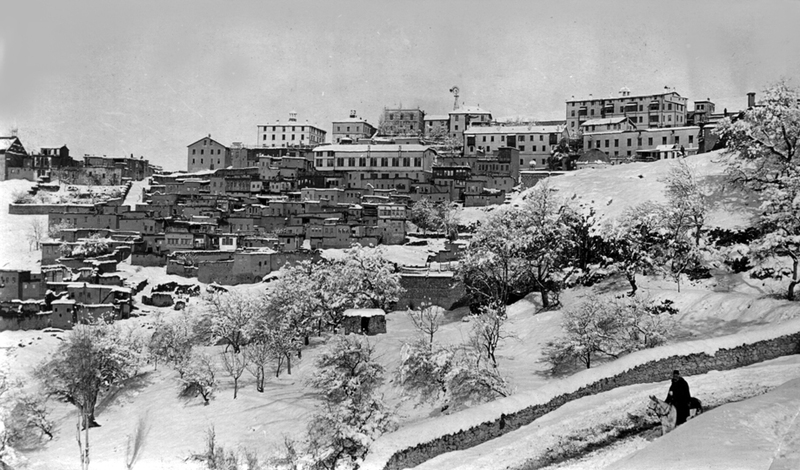 The town of Harput itself, whose Armenian population is approximately 15,000, has one college, three high schools and at least ten middle and first schools. 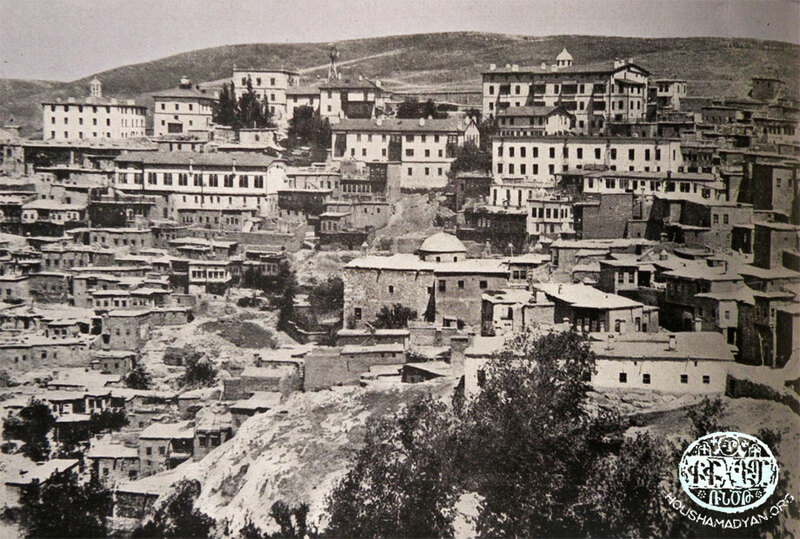 The town of Mezire (Mamuretül-aziz), with a population of about 12,000 Armenians, has a college, three high schools and more than ten first and intermediate schools. A little town like Hussenig, made up of 700 families, has seven educational establishments. A question has to be asked: how and why has this rapid educational life developed? In answer, our first glance must be at missionary activity, within whose circle education is a pivotal part. Without doubt the missionaries’ educational work has inserted a new dynamism in the region, creating an atmosphere of competition, which in any event must be considered as positive and meritorious. It is the American missionaries that have founded the first educational establishments considered to be modern in the Harput region. 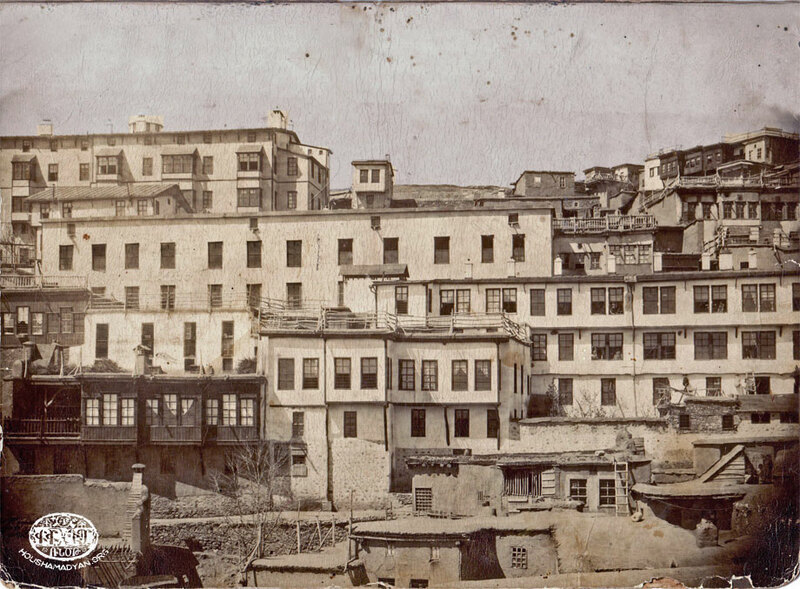 It is sufficient to look at old photographs of the town of Harput and see how, in the general views of the town, Euphrates College stands out as the most handsome, dominant and attractive complex. 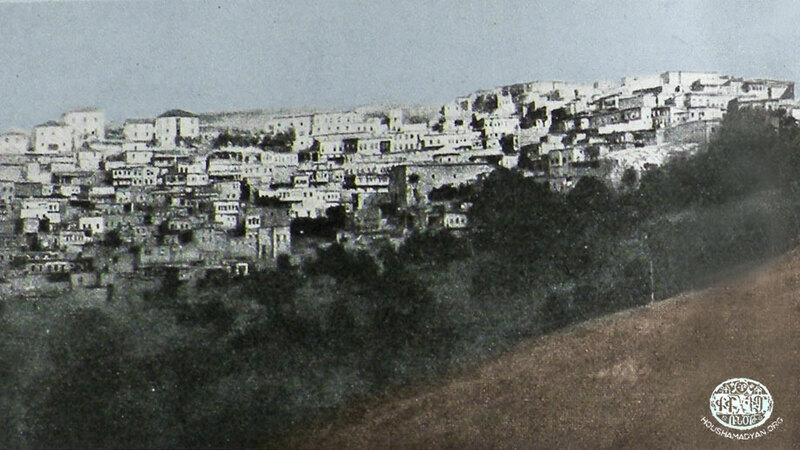 American missionary schools are succeeded by Capuchin and German educational establishments, which operate especially in the town of Mezire (Mamuretül-aziz). It is also impossible to deny that education and Protestant or Catholic preaching have gone forward together in these establishments. The first kinds of American missionaries have been very expressive in this sense. For example, one of these was George Dunmore who set first foot in Harput in the middle of the 19th century, when Protestantism was still unknown in the region. Dunmore had even been subjected to persecution and stoning by local Armenians. That American missionary, however, was extreme in his belief, being blindly convinced of the correctness of the path he was taking. He gained his first Armenian followers in Harput within a short time, who accepted Protestantism. Despite the fact that Protestantism has become part of the local picture, at the same time the Protestant missionary and the Protestant Armenian are generally presented in negative hues by the Armenian Apostolic public in Harput. They always remain ‘dirty prods’ (pis prods), ‘fast eaters’ (bak udogh – people who eat forbidden food during fasting periods such as Lent) or ‘Protestant meeting hall brothers’ (biredi joghovarandji). It is interesting to note, however, that Protestant educational establishments are, to a certain extent, free from these kinds of descriptions, although they are persuasive and attractive means at the disposal of the missionaries in the local environment. The construction of missionary schools and, alongside these, the adoption of new teaching methods within these establishments and the swift development of girls’ education has, before anything else, provided a powerful jolt to the intellect and customs of this provincial environment. It is obvious that the Apostolic Armenians of Harput that make up the majority of the community would like to have their own (educational) establishments. In terms of funding, the competition is on an unequal footing, but in any event it is obvious that for community leaders it has been impossible to take a passive position with regard to this question. Now, the progress of a vigorous and powerful network of missionary schools has been an invitation for work and mobilisation aimed, not just at the government, but also to community (millet) bodies. History shows us that from the beginning of the second half of the 19th century, government and community organisations have set to work and the number of schools – both governmental and community – have greatly increased. But the Harput example clearly shows how community organisations, compared to those of the government, are more engaged and skilled in the educational work they have started. In the Harput plain, the speedy rise of the number of educational establishments founded by the Armenian Apostolic community in a few short decades is, in the first instance, the result of spirit of organisation, the community’s internal collaboration and its united strength. Two pictures of Euphrates College graduates, who, in accordance with accepted custom, receive flowers from the students. Clearly, the founding of a school in each quarter of a town or village becomes an end in itself. A factor in the realisation of such a plan is local patriotism. When an Armenian village succeeds in constructing its own school and a new church, the neighbouring village will lose face if it doesn’t have its own. The most important role in this healthy competition is played by the Harput emigrants, especially those in the United States of America. 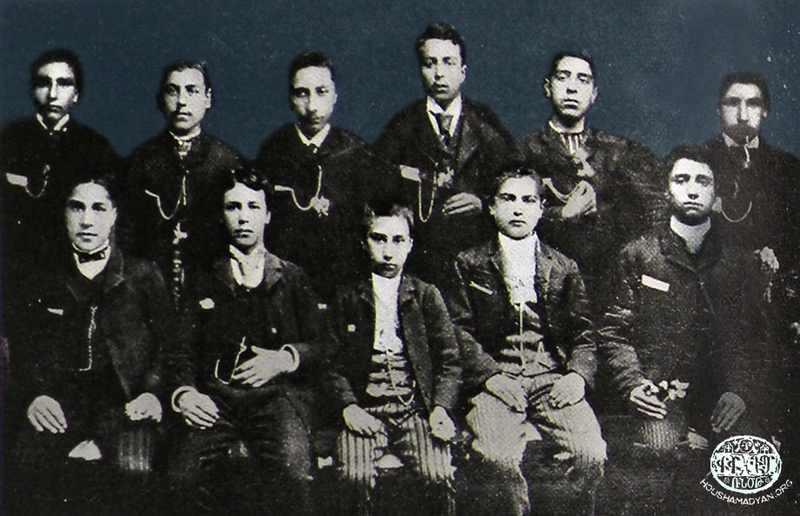 The Armenians from Harput who work in factories in the USA have formed, at the end of the 19th century, various ‘Armenian Apostolic educational organisations’, each of which represents a particular town or village in the Harput region. The financial assistance that these unions have sent play a decisive role in the success of building a new church or school. In the case of schools, it is these same unions that have financed the work of high quality teachers in the villages. 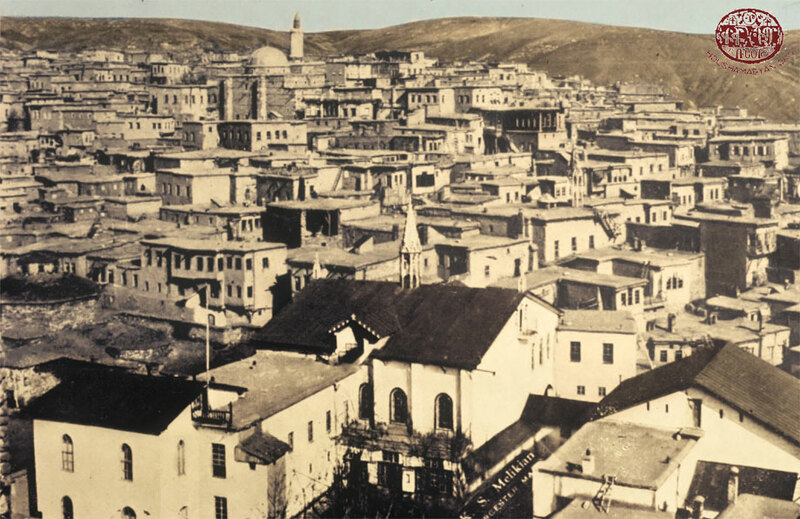 Istanbul Armenian bodies, among which is the ‘United Association’ (Miatsyal engeroutiun) that deals mainly with educational matters, also have important roles in the success of the educational life of the Harput region. Until the middle of the 19th century – and even up until the end of it in some villages of the Harput plain – parish schools have been dominant, where students’ education has been notable for its primitive and non-pedagogical nature. These schools are buildings constructed next to the church in the given town quarter or village. The aim of these parish schools is more to prepare deacons, choristers and church acolytes. The fact that the teacher has a good voice and can sing well is often considered to be his most important characteristic when he is selected for the post. All this can, perhaps, make it understandable as to why many Armenian notables look askance at the progressive efforts made, from the middle of the 19th century, to replace these primitive schools by the foundation of those that teach using modern educational methods. According to conservative convictions, these new schools will reduce the number of priests, deacons and choristers, leading to the decline of spiritual life. 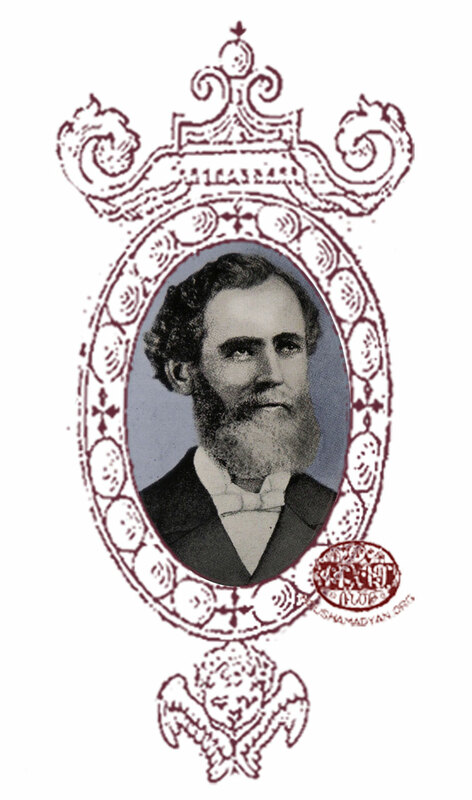 The first American missionary to visit Harput is George Dunmore. He is a member of the American Board of Commissioners for Foreign Missions (ABCFM). 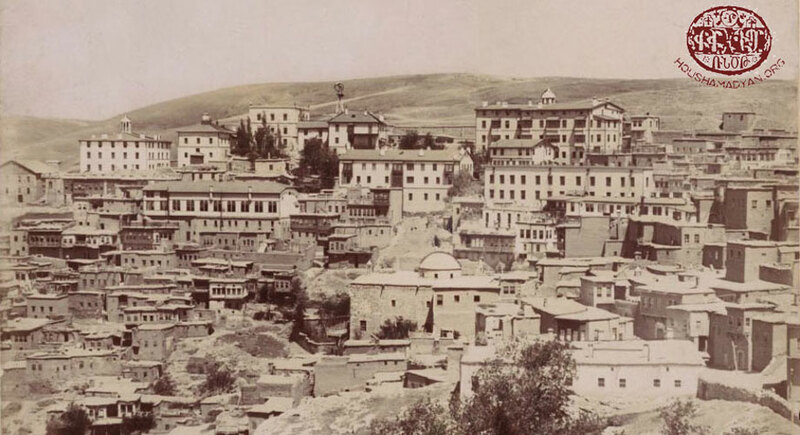 He arrived in Harput in 1852 and has found that it is suitable for increased missionary activity. 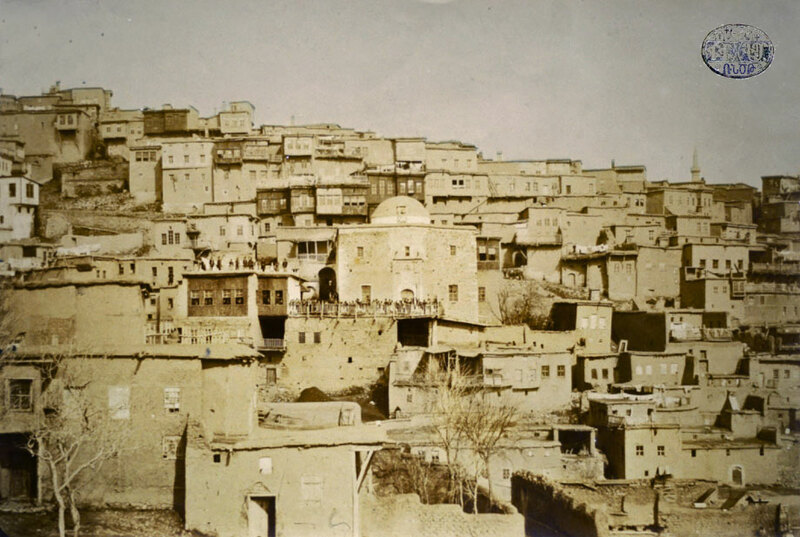 It is he has bought the konak belonging to Keshish Oghli located on the heights of the town of Harput, where the Euphrates College has later been built. He is joined by Dr. Crosby H. Wheeler and Orson Allen. The first educational establishment belonging to the mission is the Harpoot Theological Seminary which is founded in 1859, in the town of Harput. During these same years the mission also opens first schools. The American educational establishments are shining centres in this area of western Anatolia. 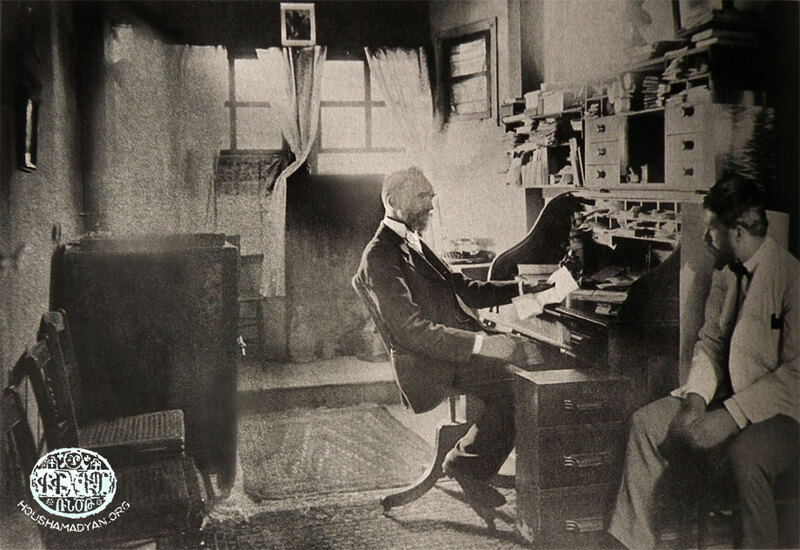 The results of the American missionaries’ work that are the college and the other buildings have fomented a complete revolution in the development of education within the region. Alongside other missionary educational centres within the Ottoman Empire, Euphrates College too has every reason to be the subject of pride for the missionaries. It is not wrong to think that among the subjects being taught here, an important place is held by the preaching of Protestantism and the securing of American influence. In this sense it is certainly true that reality is mirrored by a despatch sent by the United States consul in Harput in 1903, when he writes that the entry of American teachers, American textbooks and American teaching methods are the best means of securing the supremacy of the American economy. But all these may be considered to be secondary factors when, at the same time, we note the role of the missionary schools in Harput in the development of local educational life. 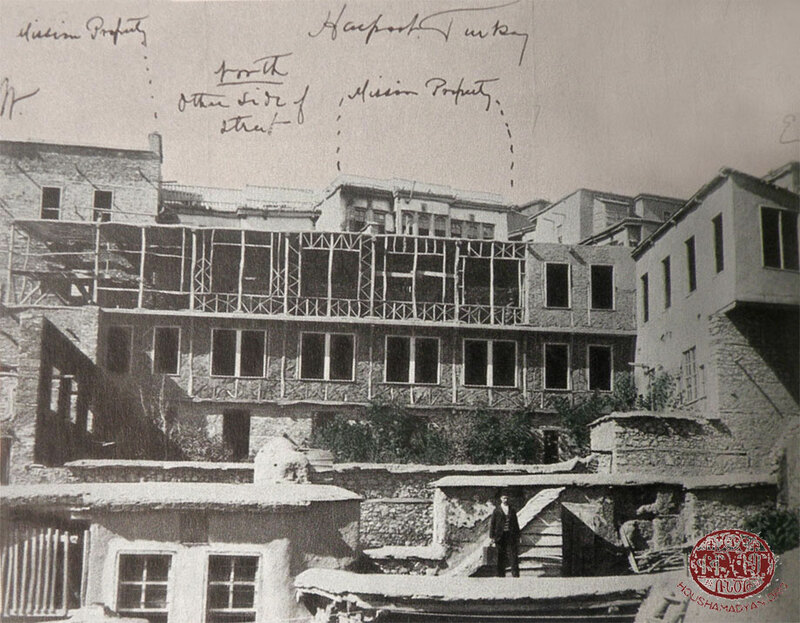 The interesting thing is that Armenian primary sources, which have reflected on the work and history of Euphrates College, not only write with praise about it, but in their prose also give the impression that this establishment has played a basic role in local Armenian life. The same authors also take up the point that the college has, in many ways, an Armenian character. In reality, this kind of thinking is not too distant from the truth. Clearly, the main teaching language for all the classes in this establishment is Armenian, the majority of teachers are Armenians, the college follows the Armenian Apostolic religious calendar, according to which Paregentan, Easter and Vartanank are festival days. 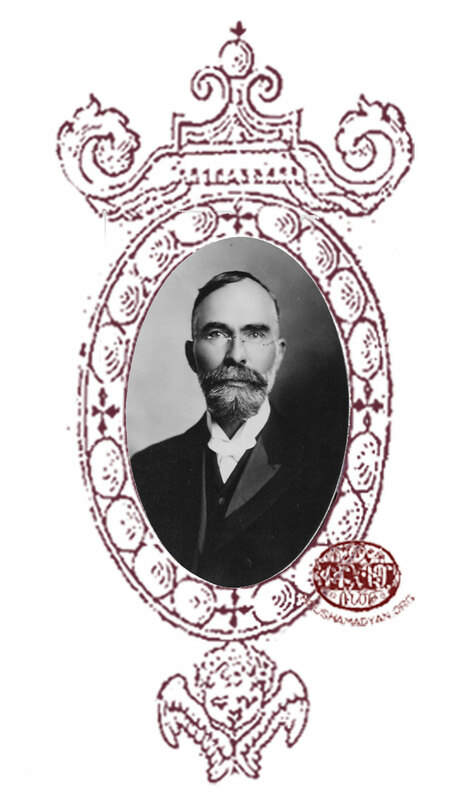 Several principals of the college, such as Ernest Riggs, have tried to secure the ascendancy of English over Armenian, but have faced great resistance by the Armenians in the college and, in the end, have withdrawn from such a step. It is true that conservative religious principles rule in the college, and both teacher and student have to follow them, but at the same time it is impossible to deny that this American college was fertile soil for the formation of secret Armenian revolutionary groups. 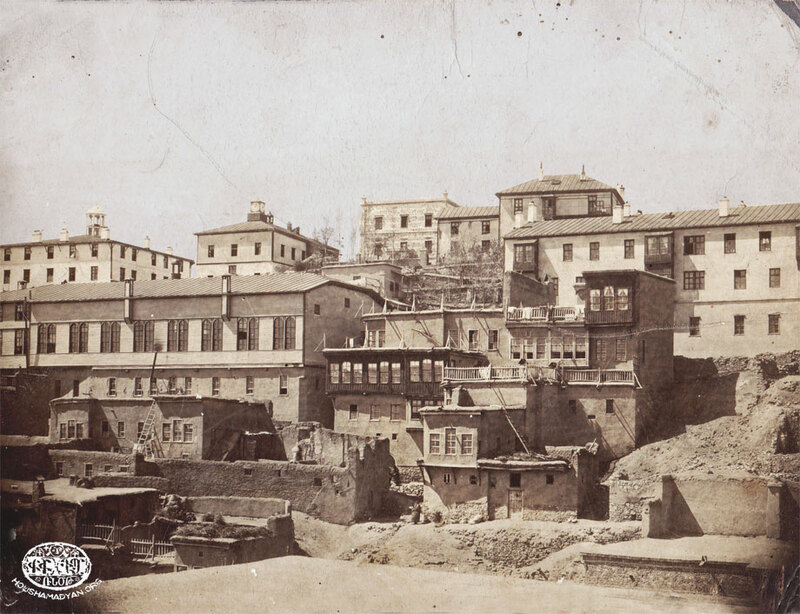 Despite the efforts of the principal and his staff, the punishments imposed and the expulsion of students, Euphrates College has been, during the Sultan Abdülhamid II years, the place where young Armenians lived their first revolutionary agitation, being introduced for the first time to the work of the Armenian Hnchagian or Dashnak underground organisations, even becoming part of small secret student groups. The name ‘college’ in the lexicon of the American mission begins to take on a general meaning and in itself begins to embrace not only colleges themselves, but all the other mission educational establishments, among which are kindergartens, first, middle and high schools. We too have adopted this above-mentiond general meaning in this article. Euphrates College has taken part, with great solemnity, in the celebration of the 1500th anniversary of the invention of the Armenian alphabet in 1913. On Saturday 13th October (old style, 25th October new style) a great procession of teachers, college dignitaries and students formed up, while the bells of Harput town’s churches and those of all the school have begun to ring out. The first part of the procession is made up of students of the college, preceeded by three flags, each carried by a student – the first representing the letters of the Armenian alphabet, the second being the rose-red college standard and the third the Ottoman banner. Picturs of St Sahag and St Mesrob are also held high by the students. The procession first passes the Protestant first school, where it is joined by that establishment’s pupils. Then it goes to entrance of the Central School (St Hagop), to be joined by its students too. All of them begin to sing patriotic songs. They arrive at the Turkish Sultaniye School, where they shout, in unison, ‘Long live the Emperor, Long live St Sahag and St Mesrob’. The procession now moves on to Hussenig. Here it is met by the local Armenian schools’ students, who are also carrying similar banners and who sing with them. They all halt for a time both inside and outside the church, then return to Harput town, first passing the Sinamud district then the Assyrian quarters, the outside of the St Garabed church, arriving at the girls’ Smpadian School. After a short rest here, during which they listen to a speech, the procession resumes its journey to the Protestant Girls’ Central School, then to the St Stepannos Boys’ parish school. The procession is joined, at every point, by colourful flags carried by students of the establishments they pass. The procession then reaches the town hall and government building, after which, passing through the market, it reaches the place it started from, in other words Euphrates College. The procession is made up of over 1,500 individuals. The Theological Gymnasium was founded in 1859. 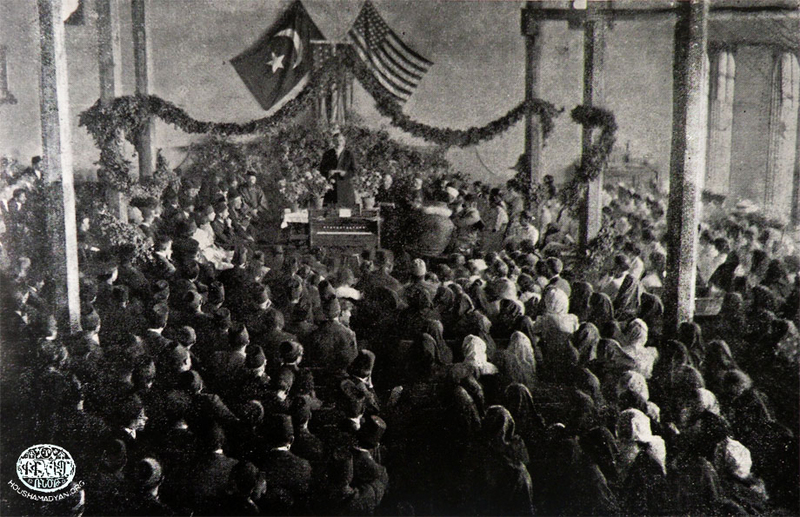 This first American establishment in Harput is the basis of Euphrates College. A. Z. Yeghoyian (Khuylu 1870 -1937). The Theological Gymnasium has produced 116 graduates up to 1915. 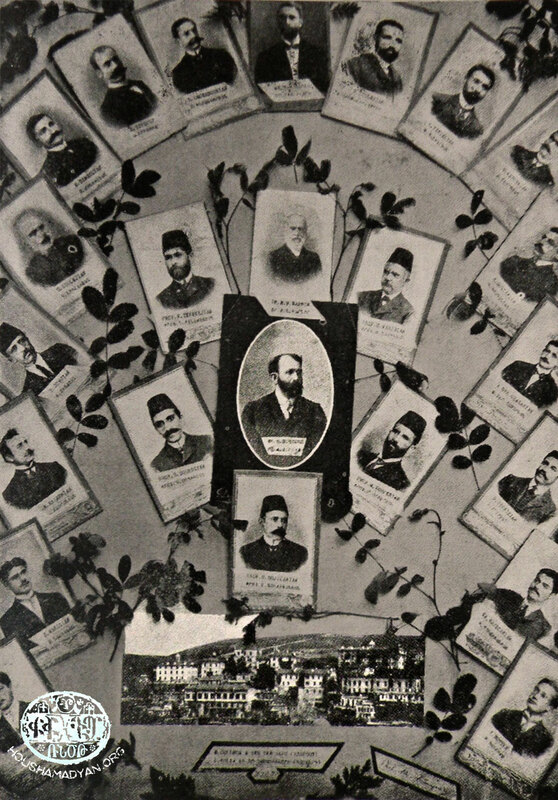 During the anti-Armenian violence of 1895, it was demolished and many of the students and teachers were killed. The establishment has been forced to close its doors until 1903, from when a new period of activity has begun. 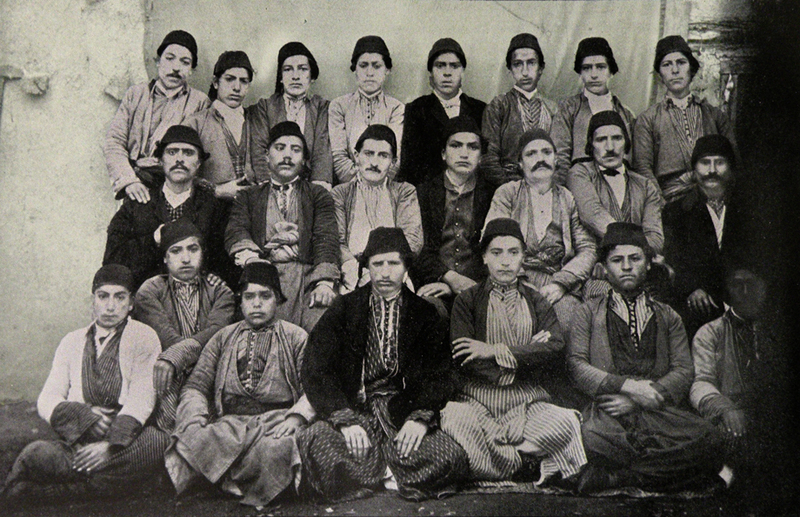 Bedros Kazandjian (Hussenig), Hagop Kalenderian (Diyarbekir), Nikoghos Tenekejian (Harput), Garabed Beshgetourian (Harput), Krikor Krikorian (Hussenig), Mesrob Yeshilian (Palu), Hovhannes Garabedian (Hoghe), Arshag Shmavonian (Harput), Armenag Boghosian (Habusi, currently Ikizdemir), Khachadour Nahigian (Hussenig). Public speaking (Armenian, Turkish and English written items must be learnt by heart, with the best students ascending the stage at the end of the school year to once more recite what they have learnt and to receive their prizes). 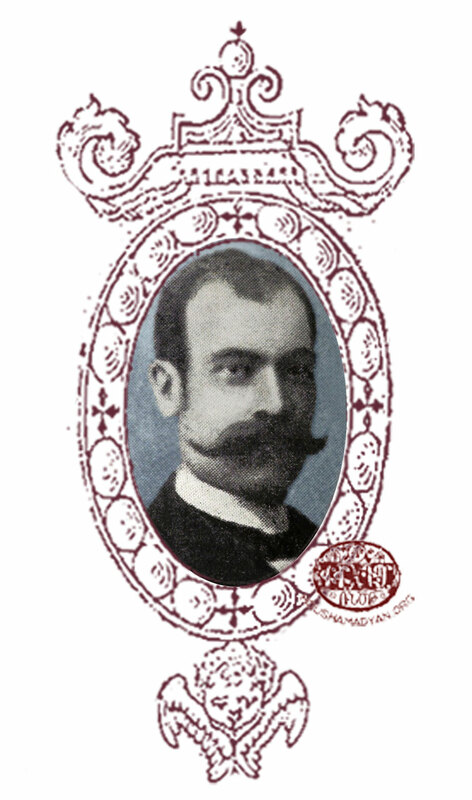 Vartan B Amirkhanian (Diyarbekir 1870 – 1946) teaches religion and ethics. Haroutiun Kasbar Avakian (Harput 1844 – 1934) a graduate of Marash Theological Seminary, teaches mathematics and linguistics. 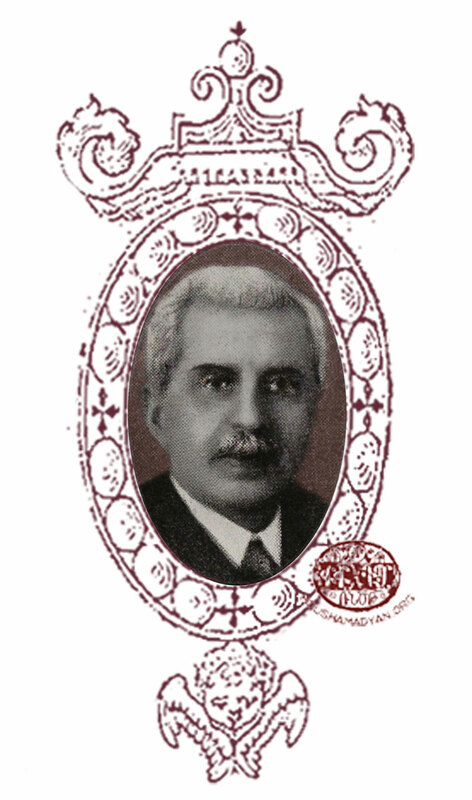 Hachadour Benneyan (Harput 1864 – 1944), the college senior director, teaches Armenian and English. 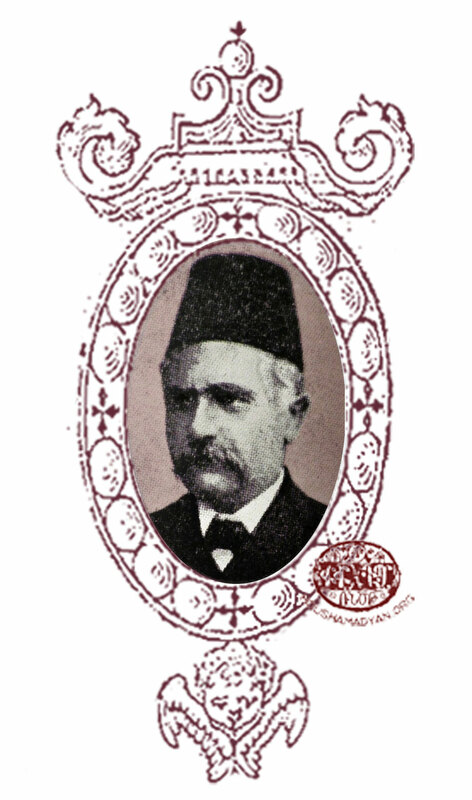 Garabed H Beshgetourian (Harput 1861 – 1941) teaches Armenian language and literature. 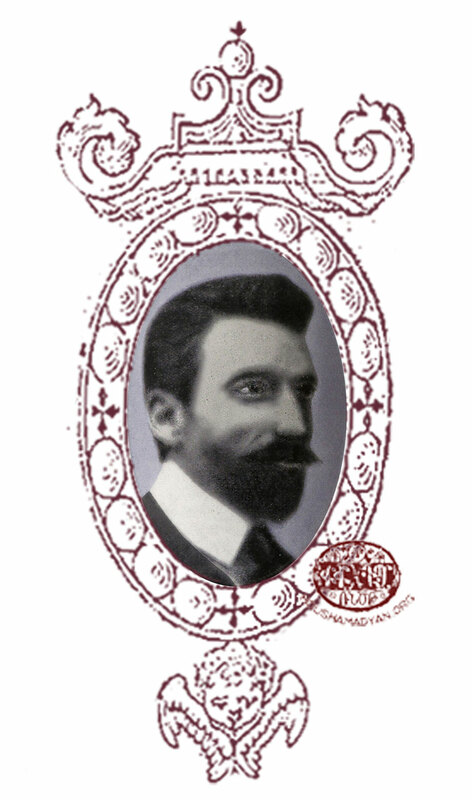 Hovhannes Bujicanian (Chenkoush 1873 – killed 1915), a graduate of Euphrates College, studied philosophy and socialogy in Edinburgh University and teaches those same subjects. Hagop Dindjian teaches Armenian, English, composition. Haroutun Enfiedjian (1853 – 1918), a graduate of Yale University, USA. 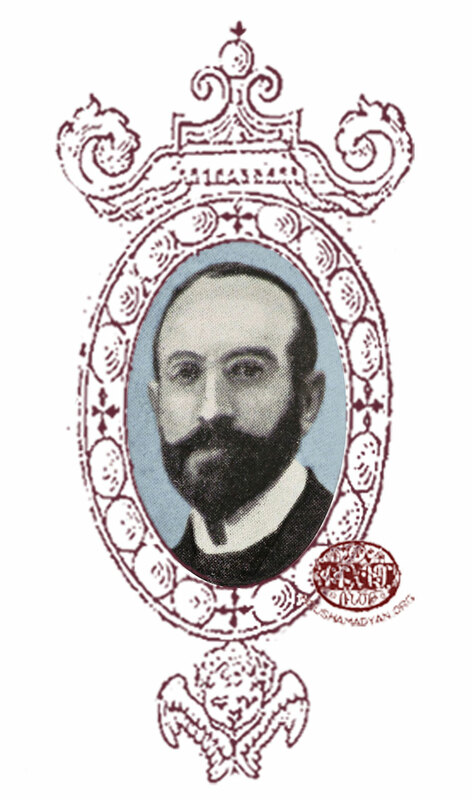 Hovhannes M Garabedian (Hoghe 1860 – 1940), sent by the college to the United States to complete his education. He teaches Armenian, Latin and English literature. His book ‘Modern Armenian Grammar’ has been published by the college’s ‘Euphrates’ press. Antreas DerGhazarian, born in Rendevan, teaches history. Samouel Hachadourian (Palu 1875 – 1950), a graduate of Euphrates College, studied music in Germany and returned to become the teacher of music. 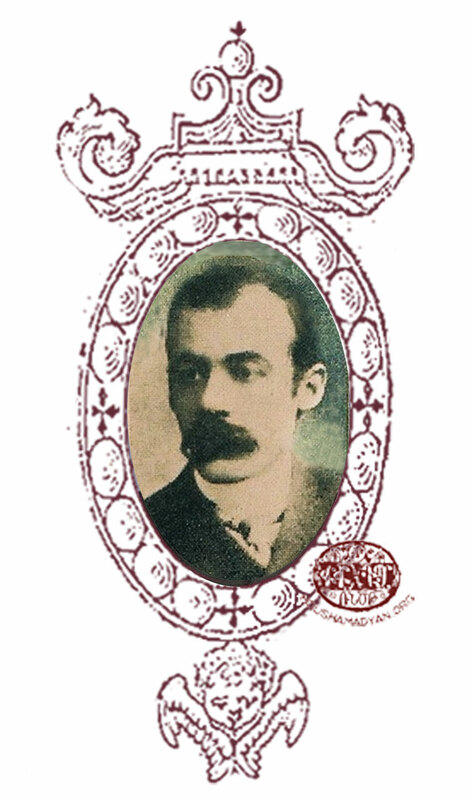 Armenag Hovagimian, (Harput – killed in 1915) teaches mathematics. 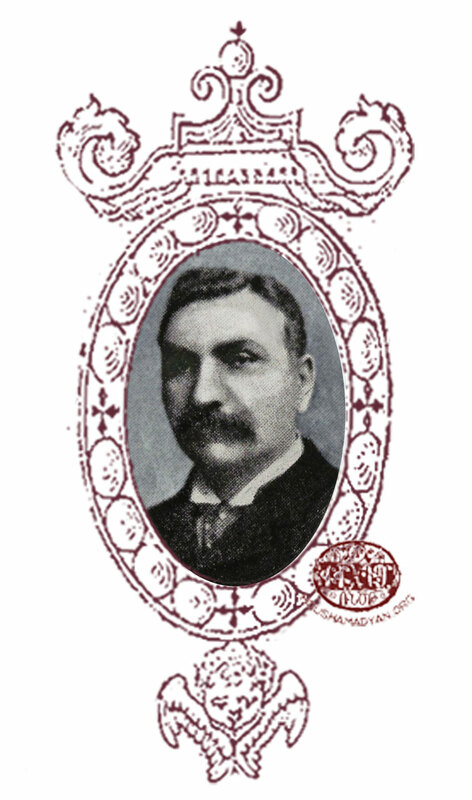 Hovhannes Kaboulian (Harput 1862 – 1892) teaches English literature, mathematics, physics, astronomy, chemistry. 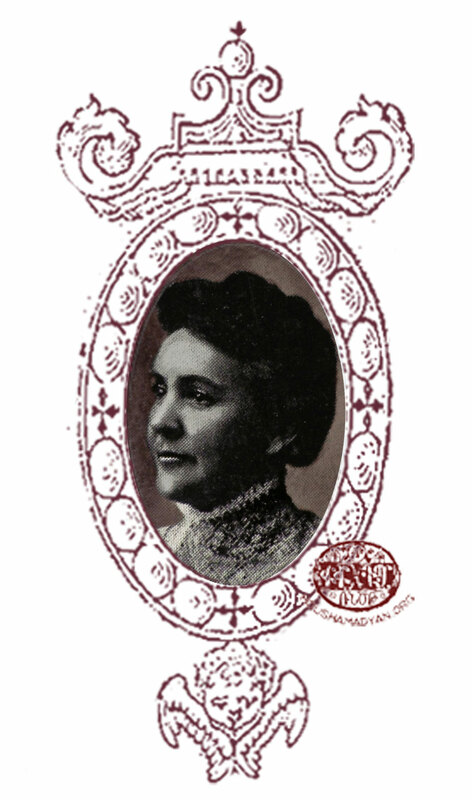 Fay Emmett Livengood teaches English and literature. Garabed Lulejian (Harput 1834 – 1914), teaches pedagogy, classical Armenian, national and church history. Donabed Lulejian (1875 – 1917), a graduate of Euphrates College, received his university education in Yale and Cornell through college funds, where he specialised in botany and physics. He teaches natural sciences and biology. Mangasar Mangasarian (Harput 1859 – 1943), a graduate of Robert College, Istanbul. Felix Margot (a Swiss) teaches French. 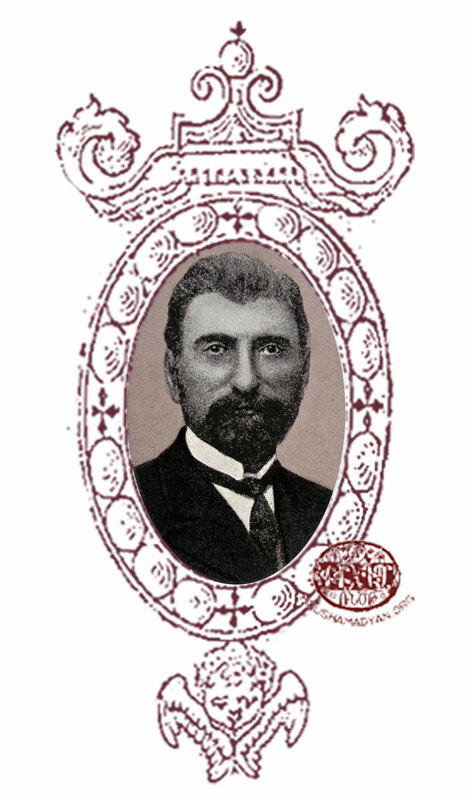 Mardiros Shmavonian (Haini 1833 – 1892) teaches philosophy, bibliography, logic, oratory, geology. M A Melkon (Harput 1839 – 1910), received his education in Switzerland, where he studied philosophy, divinity, social sciences and linguistics. 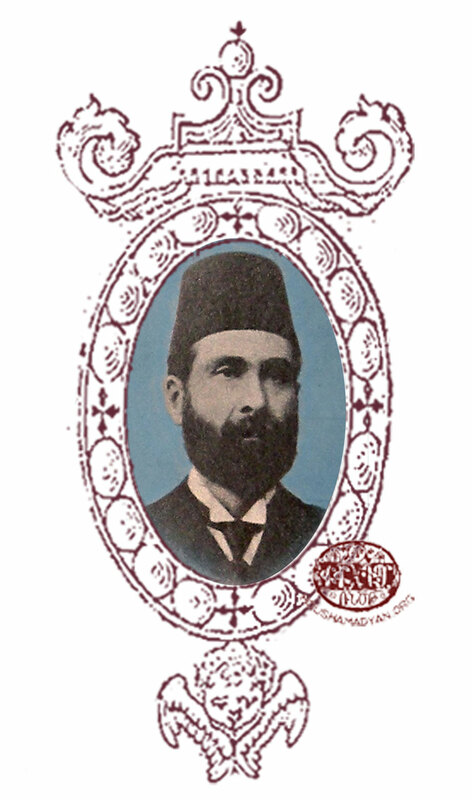 Khachadour Nahigian (Hussenig 1856 – killed in 1915), studied natural sciences in Michigan and Ann Arbor universities, and teaches mathematics, physics and astronomy. Haroutiun Sargavakian (1864 - ?) teaches music. Arshag Shmavonian, (1860 – Harput 1919) a graduate of Euphrates College who has also studied in Switzerland. He has returned to Istanbul and become the first translator of the Embassy of the United States. 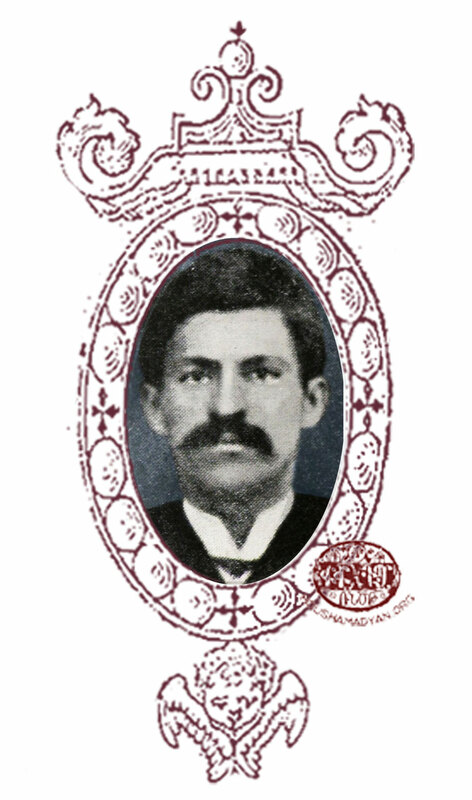 Garabed M Soghigian (Gamsar) (Harput 1868 – killed 1916), a graduate of Euphrates College, sent by the college directors to the Mkhitarian orders in Vienna and Venice to complete his Armenological studies. He teaches Armenian and chemistry. He is also a trained photographer. 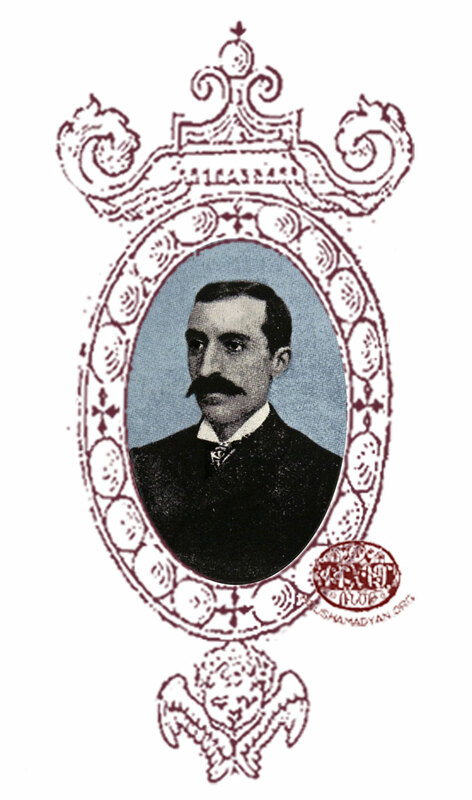 Sarkis Soghigian (Harput 1854 – 1935) received his university education in Switzerland, Berlin and London. He was one of the founders of the Sanasarian School in Erzerum. Kapriel Tanielian (? 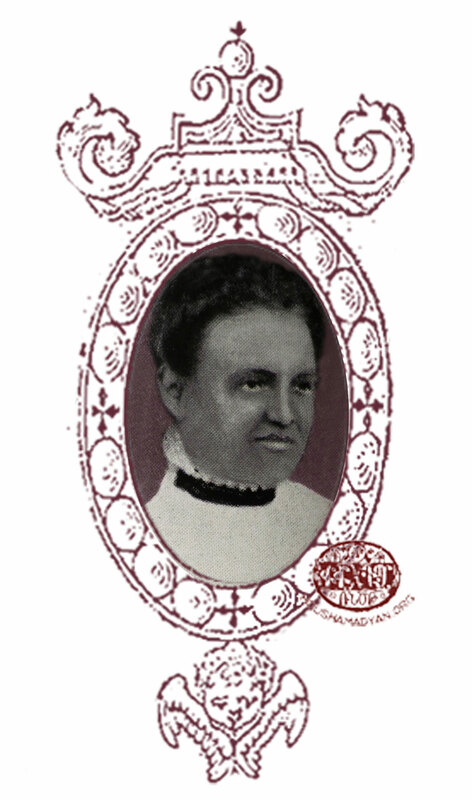 – killed in 1915), teacher and chief librarian. 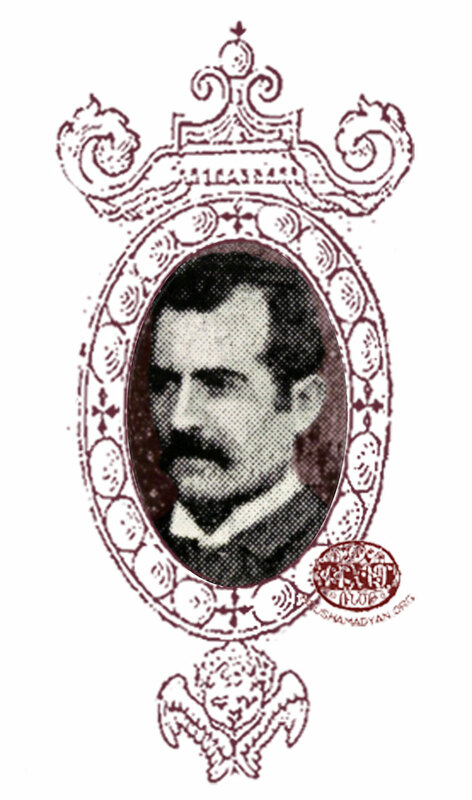 Nikoghos Tenekejian (Harput 1860 – killed in 1915) teaches history and Turkish. 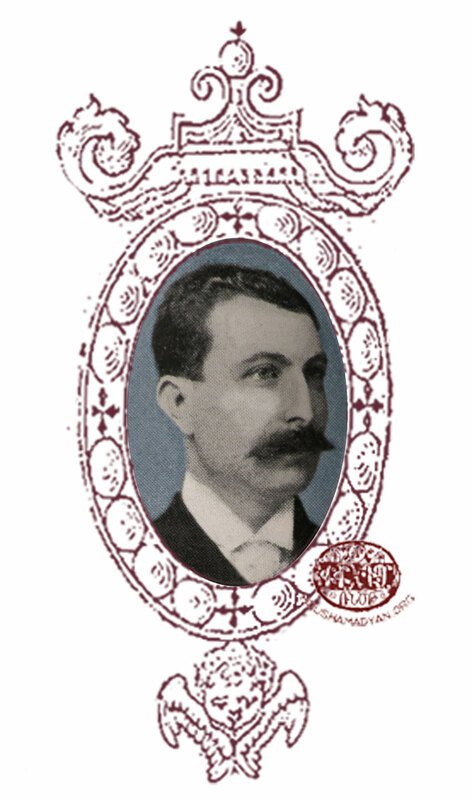 Mugurdich Vorperian (Malatya 1868 – killed in 1915) a graduate of Euphrates College, studied geology in Princeton University. 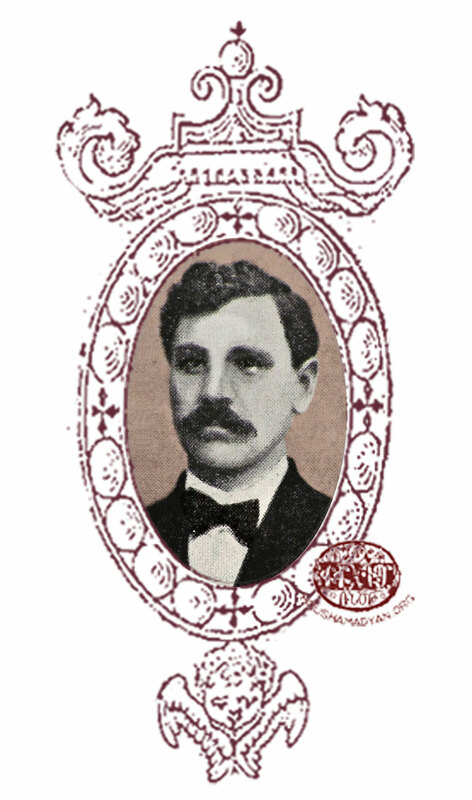 Mesrob Yeshilian (Harput 1862 – 1942) a graduate of Euphrates College, studied chemistry in the United States for one year, teaches physics, chemistry, physiology, geology, English. 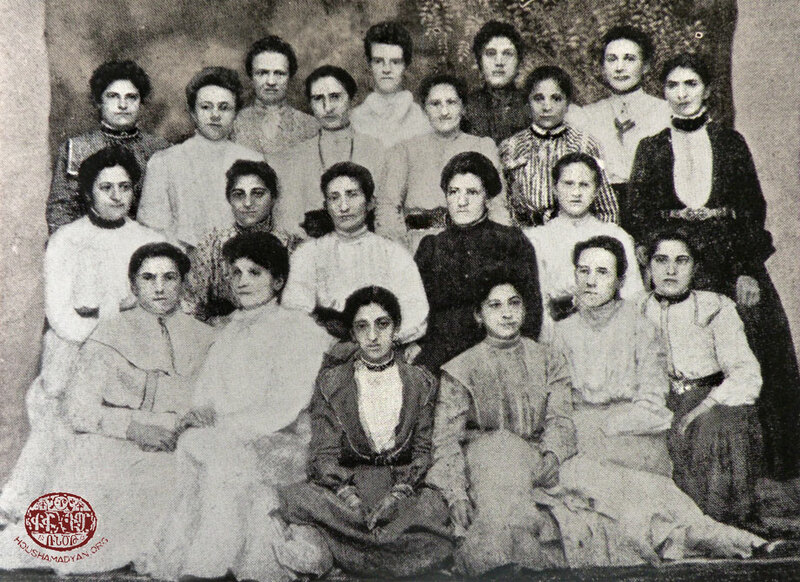 Sara Medzadurian (from Hussenig), Nazli Nenejenian (Kghi), Anna Chedigian (Harput), Repeka Agheksandrian, Mariam Enfiedjian, Anna Medzadurian and Arshaluys Yusuf. It is often also known by the name ‘Red College’, as the outside walls are painted that colour. It has sometimes been called by the name of its principal, Telgadintsi. It is located next to St Hagop church in the Upper Quarter. 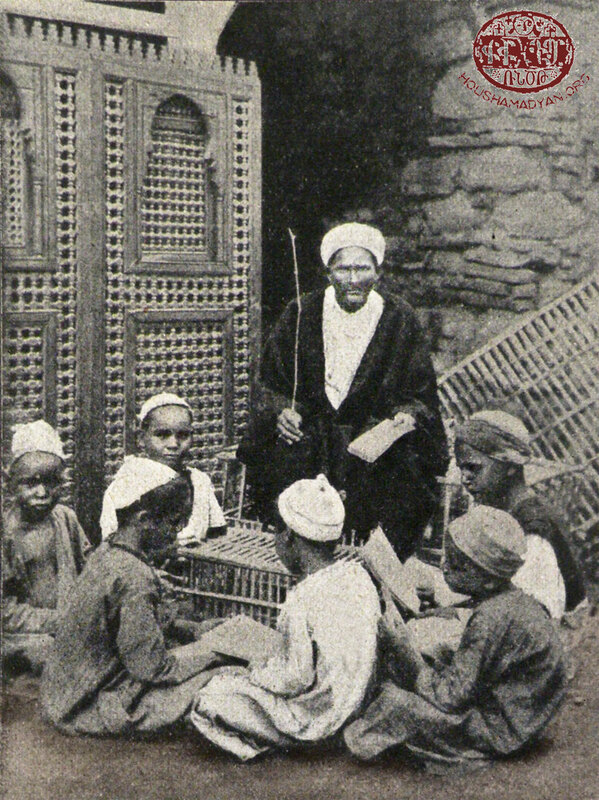 Before this school was built, St Hagop had community school of the old kind. It is considered to be the town’s oldest school, whose foundation stretches back to about the 1820s. In these years two married priests, Rev Hagop and Rev Sahag Beshgeotiurian, opened a school next to the church, and have become its teachers. The atmosphere of a primitive school is supreme there; the teachers sit cross-legged on the classroom couch, while the pupils sit opposite them on the floor. The sons of rich people bring a mat to sit on, while the poor sit on the bare floorboards. The classroom has one or two small windows, which are close with oiled paper. There is a large board in the classroom, on which ‘A, B, C’ has been inscribed, with, at the bottom, ‘Cross, help me’. The whip hangs on the wall, and is often used. The new school has been built in 1887. It is constructed with the latest kind of classrooms, desks and chairs. 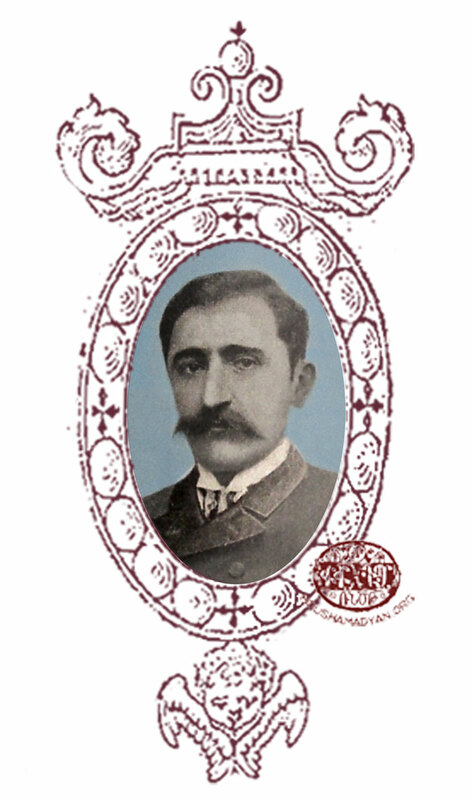 Hovhannes Harutiunian (Telgadintsi) (Khuylu 1860 – killed in 1915), a graduate of the Smpadian School in Harput, has been appointed director of his newly-opened school, and has remained in this post until his catastrophic death and the school’s final destruction. He also teaches Armenian and composition. A secondary department has been added to this parish school since 1890 and it is henceforth given the title ‘Central School’. About 300 pupils begin to attend this school every year. 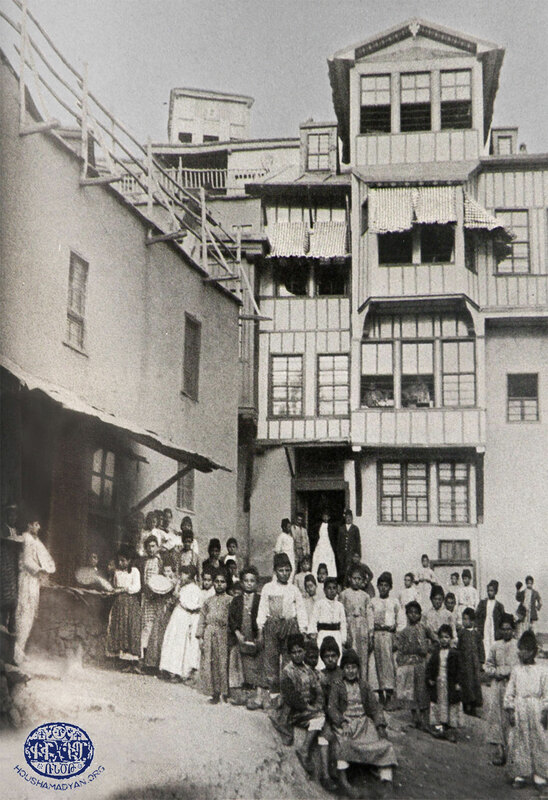 At the beginning, the school’s income consisted of the pupils’ fees, gifts made by the Armenians of Harput and occasional donations from outside. The school’s financial situation has later become better, when financial aid has begun to reach it from educational unions set up by people from Harput in the United States, as well as from the Garabed and Krikor Melkonian brothers established in Egypt who are tobacco producers. 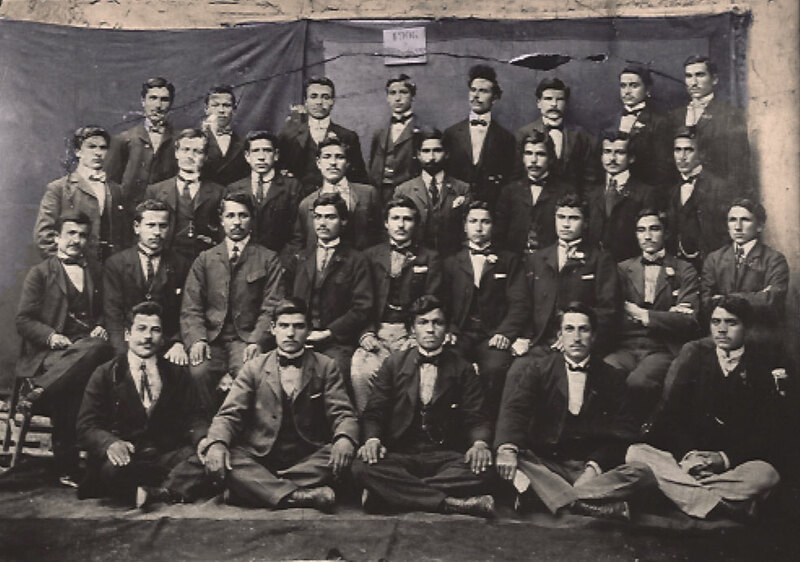 Among the graduates of that first year (1891) we find the following names: Garabed Kalusdian, Nshan Tiufenkdjian, Sarkis Malemezian, Melkon Tashjian and Bedros Geoldjiukian. 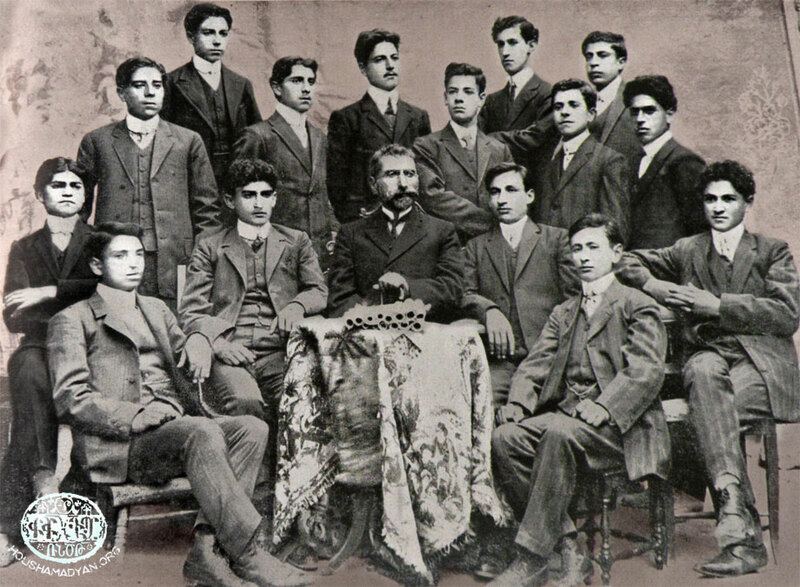 Rupen Zartarian, Hagop Parichanian, Krikor Khanigian, Hampartsum Zakarian, Levon Papazian, Mgerdich Shaghalian and Sarkis Telatsian. Khosrov Papazian, Avedis Khanigian, Kevork Atamian and Donabed Museghian. 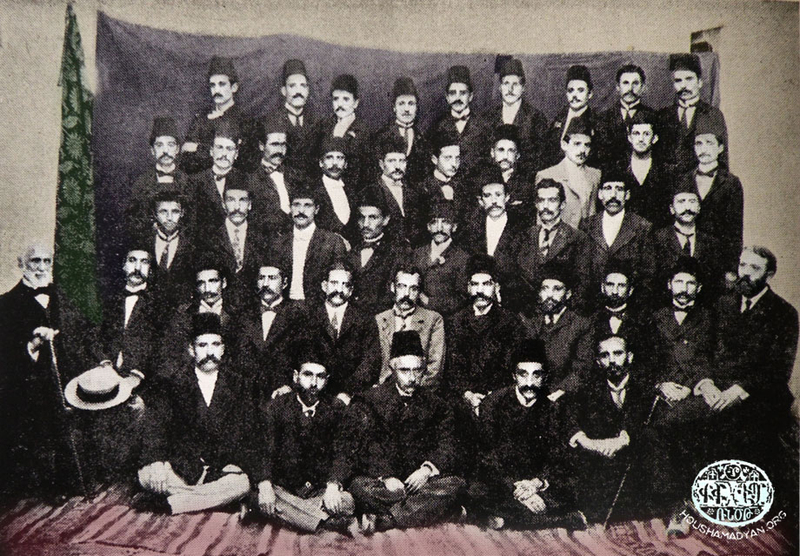 Yeghia Kezirian, Garabed Tashjian, Khosrov Elmasian, Haroutiun Darakdjian, Dikran Vartigian, Sarkis Demirdjian, Mardiros Lusararian, Setrag Kuyumdjian, Armenag Shaghalian, Hagop Nalbandian and Khosrov Tervizian. 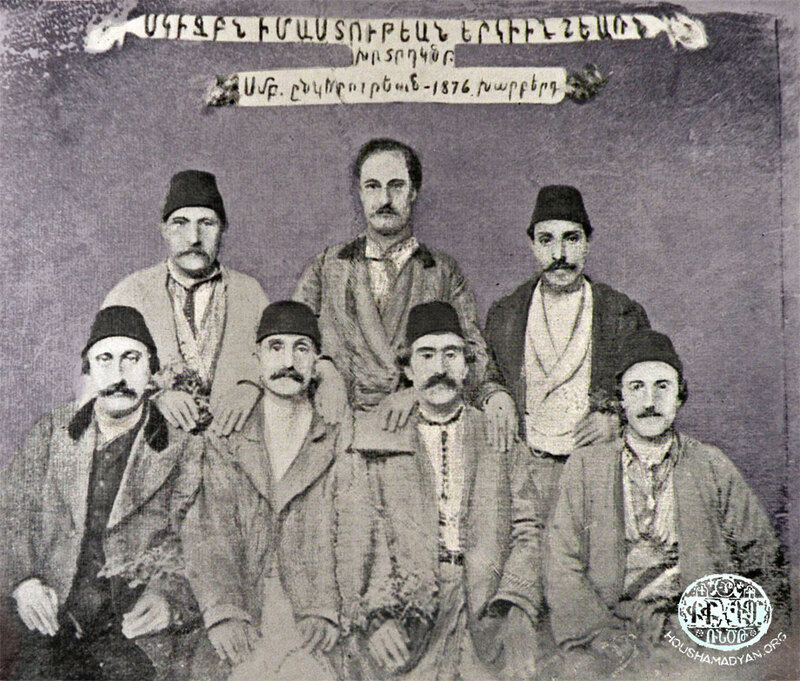 Hovhannes Kazandjian, Harutiun Boyadjian, Bismark Hovsepain, Sarkis Velegian, Kevork Geoldjiukian and Misak Der-Hagopian. 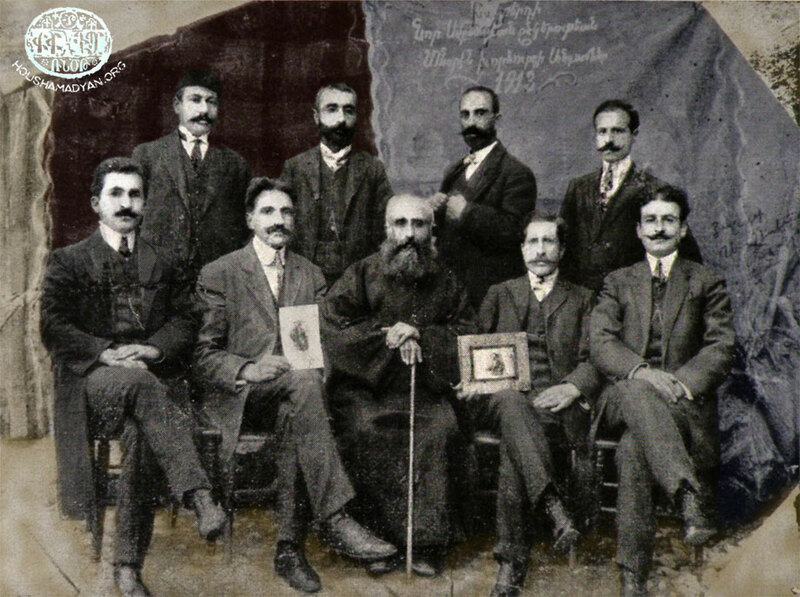 Sarkis Nalbandian, Karekin Tashjian, Karekin Nalbandian, Misak Sarafian, Mardiros Demirdjian, Mihran Srabian and Misak Der-Baghdasarian. 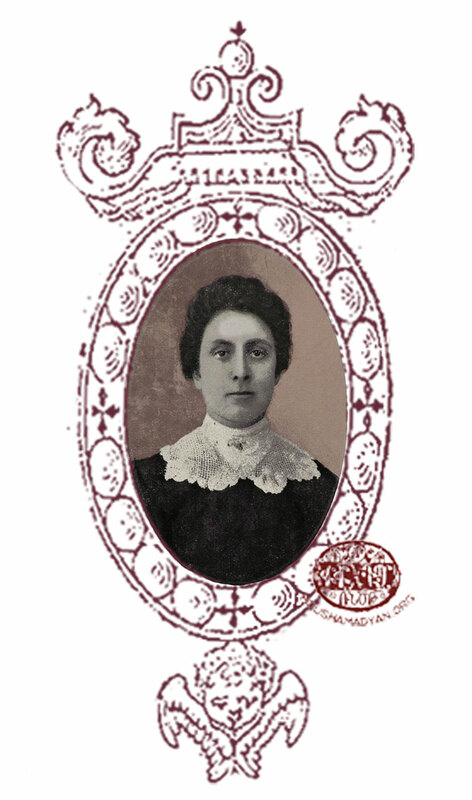 Among the graduates is the well-known American Armenian author Peniamin Nurigian (Hussenig 1894 – Los Angeles 1988). During the time of the mass anti-Armenian violence in 1895, the attacking mob has burnt down and utterly demolished this school. But immediately after peace was restored the director Telgadintsi, with the other trustees, have made every effort and succeeded in opening at least a few classes in the building next to St Garabed church in the Lower Quarter of Harput. At the same time the rebuilding of the Central School has been started, greatly assisted by financial aid provided by the Harput educational unions in the United States. 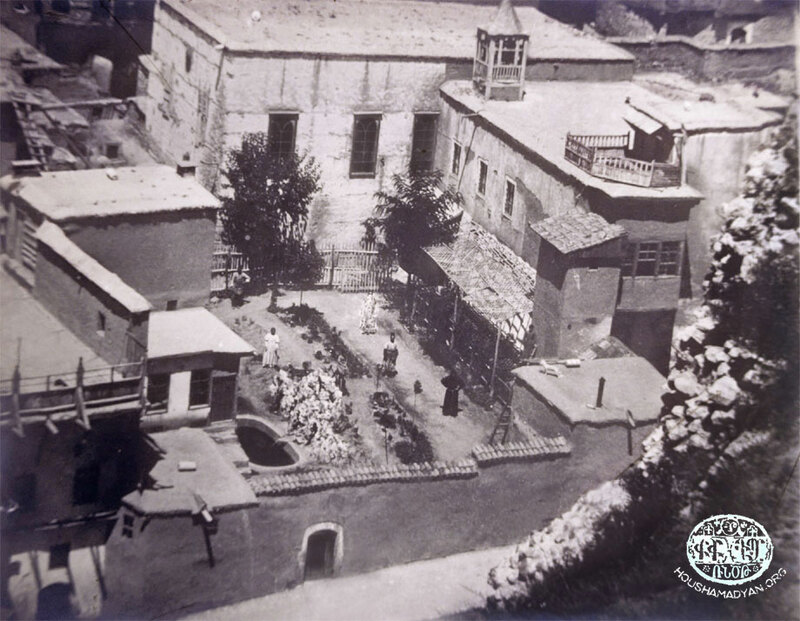 Telgadintsi has moved the Central School back to the St Hagop quarter in 1900. Although the rebuilt school doesn’t have walls painted red, it continues to be called ‘The Red College’. It is from this time that the Melkonian brothers have begun to provide an annual gift of 30 Ottoman liras to be used to help defray the school’s costs. 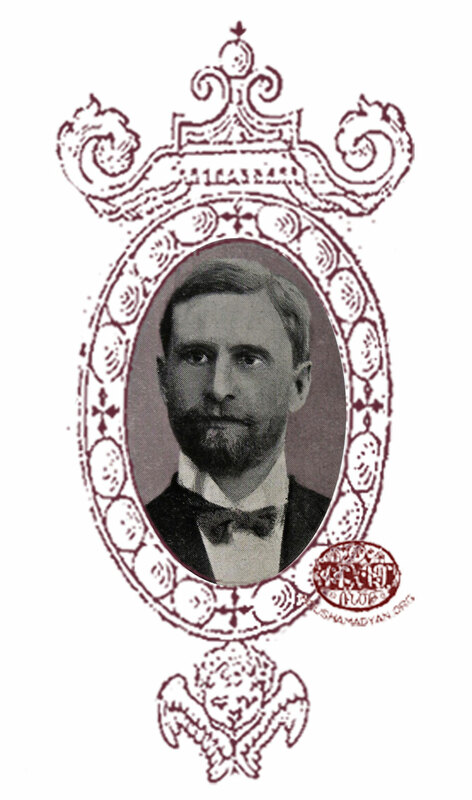 Telgadintsi is forced to relinquish his position of director in 1903. During this same year the Ottoman authorities arrested two revolutionaries, Kalusd Antreasian (cover name Hagop) and Hagop Tevekelian (cover name Hapet) in the town of Harput, both of whom were part of the Hnchag political party. These two Armenians from Shabin-Karahisar (Şebinkarahisar) were heavily involved in the transport of weapons and the organisation of local Hnchag groups. They have been hanged in Mezire in 1904. Government bodies, in the glare of his incident, have arrested more than 40 Armenian notables from the towns of Mezire and Harput as suspicious people, among them teachers. Telgadintsi is also among them and has been imprisoned for nine months, after which he has returned to his educational position. Kevork Ekizian, Garabed Der-Baghdasarian, Toros Demirdjian, Khosrov Kiurkdjian, Garabed Berberian, Haigaz Giulbengian, Garabed Adanalian, Hagop Demirdjian, Simon Demirdjian, Khachadour Tervizian, Hagop Fermanian, Hagop Tiufenkdjian, Avedis Chedigian, Hovhannes Tanielian, Hagop Vartigian, Hagop Dikidjian, Sarkis Tervizian, Manug Der-Baghdasarian, Krikor Ekizian, Kevork Giurdjian, Garabed Demirdjian, Ohan Tashjian, Garabed Soghigian and Krikor Deokmedjian. All these people come from the four Armenian quarters – St Hagop (Upper Quarter), St Garabed (Lower Quarter), Sinamud (the eastern quarters of the town) and St Stepannos. This diversity is proof that the Central School has left its parochial state behind, becoming the property of the town’s entire Armenian community. 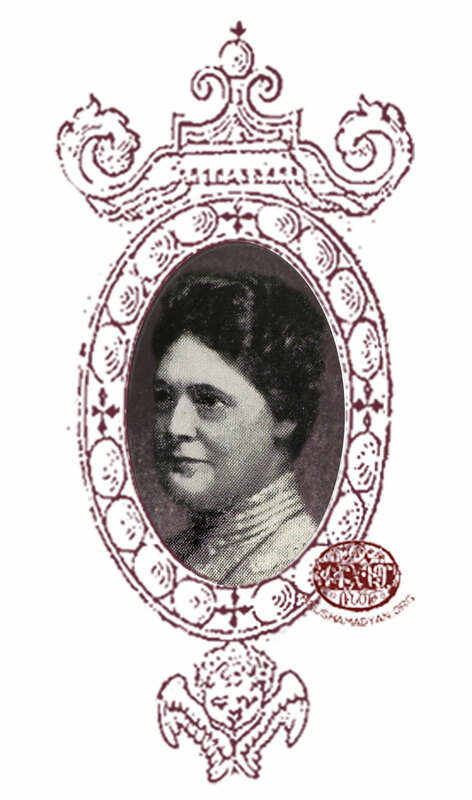 From 1 February 1909 the school’s students have begun publishing a fortnightly hand-written literary journal, called Dzovag. It appears in only one copy and, passing from hand to hand, is read by a great many people. In later years, the Smpadian Union has continued its work at the same rate. New members replace the founders – usually their sons. 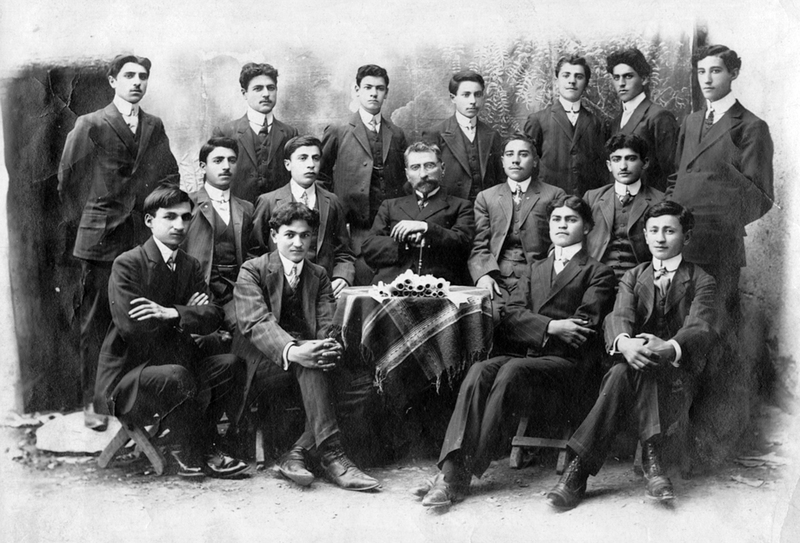 Some of them are Karekin Tiufenkdjian, Sarkis Vartigian, Kapriel Santurdjian and Hovagim Parichanian. The union’s members select the best students from the parish schools and invite them to study in the Smpadian School. Some of those chosen are: Sarkis Soghigian, Hovhannes Harutiunian (Telgadintsi), Sarkis Tervizian, Garabed Yaghubian, Garabed Jamgochian, Mardiros Keligian, Mardiros Aroyian, Hovhannes Gosdanian, Aliksan Djokhalian, Aghabab Aroyian, Garabed Kharnadjian, Kevork Tumanadjian, Yeghia Geoldjiukian and Krikor Tutundjian. 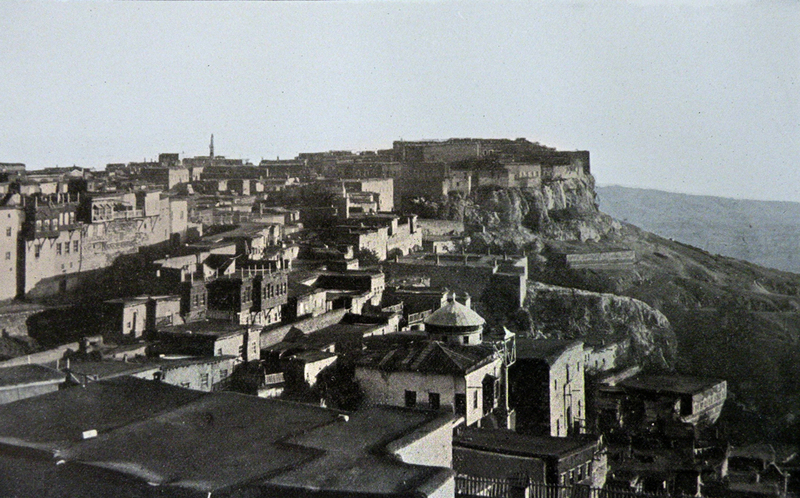 Government taxes greatly increased during the time of the Russo-Turkish war (1877), so much so that they became impossible even for the rich in Harput. 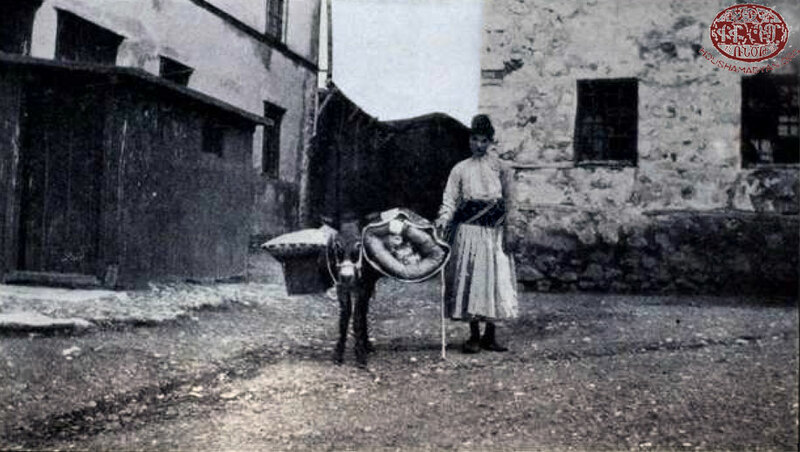 Under these circumstances the town’s Armenian aghas’ financial assistance to the Smpadian School has ceaseed, naturally being the reason for the school’s closure, although primary Armenian sources ascribe another reason for it. 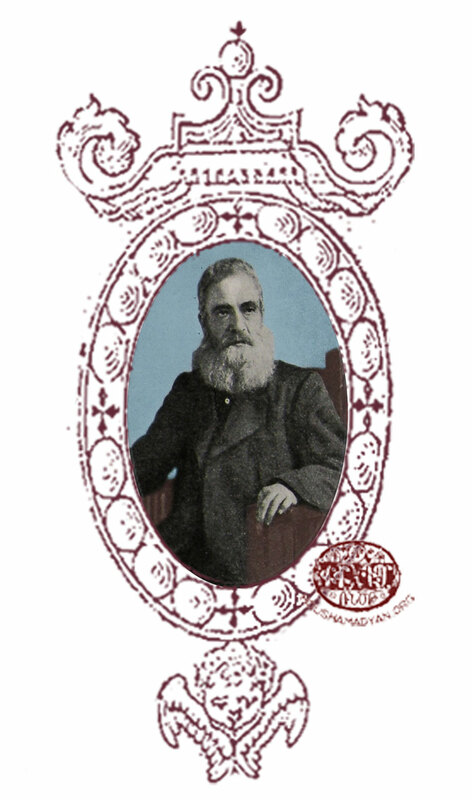 The teacher Partogh Tatarian and several of his collegues being deemed ‘suspicious’ by the Ottoman authorities are ordered to return to Istanbul. The absence of the main teachers makes regular teaching impossible and for this reason the Smpadian School is forced to close its doors. The establishment reopens in 1884, this time with one of its graduates, Telgadintsi, as director. He remains in this position until 1888, when he is appointed as the Upper Quarter’s Central School. 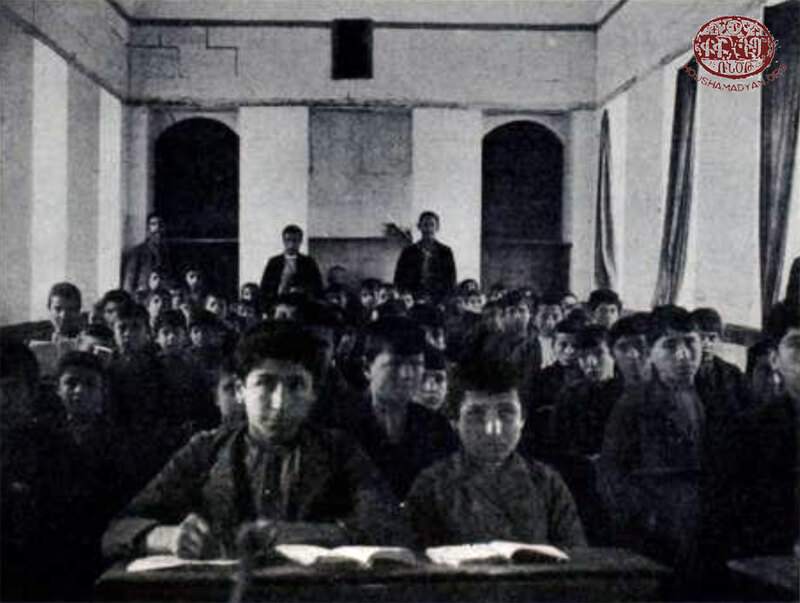 Mihran Hakesezian (from Sivas) and Vahan Beshigtourian also held positions within the reopened Smpadian School. The school has been moved and re-established in the St Stepannos church complex in 1886, where it has larger halls and a walled yard. There, alongside Telgadintsi, Manug Dzeron (Parchandj 1862 – 1938) and Blind Sarkis (Sarkis Zadurian) have taught too. 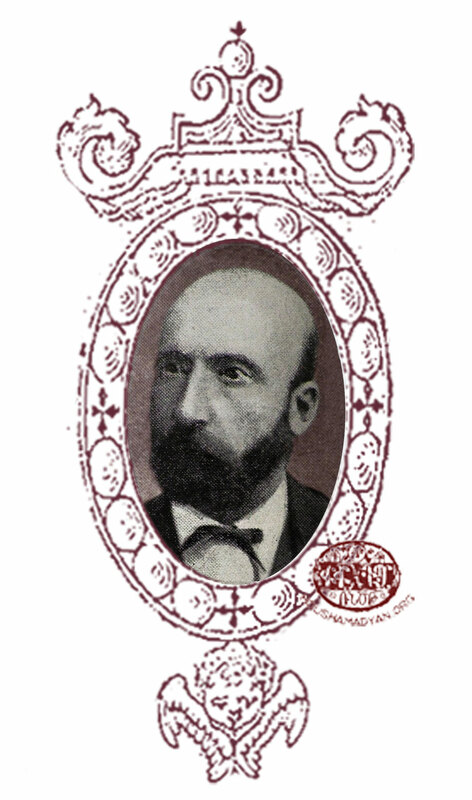 In these years plays have been performed on stage, among which have been Bedros Turian (1851-1872) ‘Blach Soil’, as well as ‘Arshag II’ and ‘The Van Famine’. One of the well-known teachers in the Smpadian School is Bedros Atamian, who is considered to be one of the pillars of this establishment. He was born in Chemeshgadzak (Çemişgezek) and was invited to teach in the school when he was already living in Istanbul. We know that he had been arrested by the Ottoman authorities while teaching in Harput and held in prison for many long years. The primary Armenian sources that have written about him only note that his imprisonment was for ‘suspicions of nationalist aims’, when he was visiting his birthplace of Chemeshgadzak. He has been held in Erzurum prison and released in 1908. Hovhannes Harutiunian, as we have seen, was a graduate of the Smpadian School, and would become the well-known writer Telgadintsi. 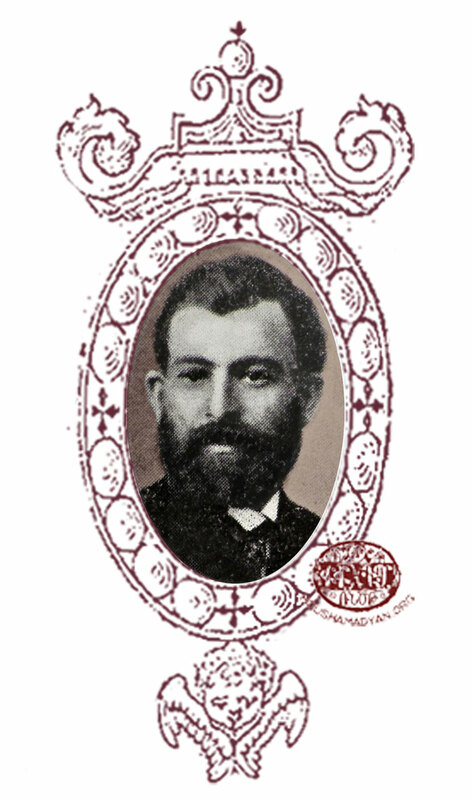 Another well-known graduate is Arakel G. Bedigian, an Assyrian (Harput 1860 – 1902) known by his nom-de-plume of ‘Kisag’. He has also held positions in Istanbul and Bardizag. 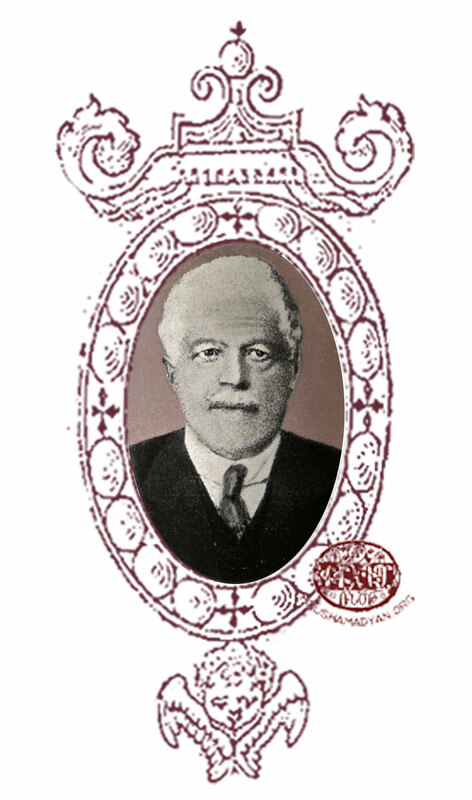 Another is Sarkis Soghigian, one of the founders of the Sanasarian School in Erzurum. It is thanks to the Smpadian Union that the first plays have been staged in Harput. Bedros Atamian, one of the teachers in the school, has had a vital role in this work. Thus, a few years after its foundation, the same establishment has staged ‘Brave Vartan’, ‘Haig Nahabed’ and other Armenian-themed plays. It is noted that the local Ottoman officials, the governor and churchmen are present at these performances. Roles in these plays are taken by Hovhannes Harutiunian (Telgadintsi), Nikoghos Tenekejian, Garabed Soghigian, Khachadour Tervizian, Hovhannes Pilibbosian and Mgerdich Dindjian. The boys’ department of the Smpadian School comprises a first and intermediate school. From 1886 the school has had a girls’ department too. Djizmedjian points out that foundation of this girls’ school in the Lower Quarter must be explained by the fact that this quarter is distant from the parts of the Upper Quarter in which the Turks live. 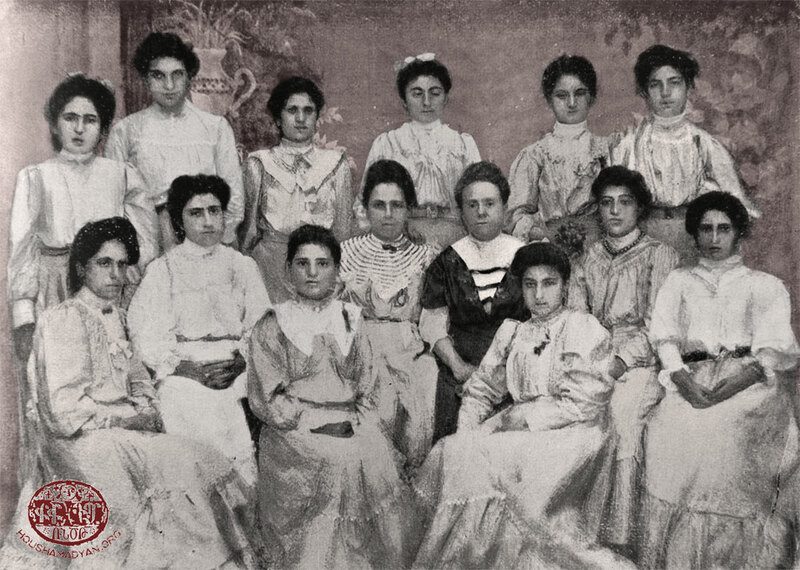 In other words, safety is an imperative, which leads the Armenians to open a girls’ department of the Smpadian School, in which girls from the Upper Quarter will become students. It is told how, every morning those girls who go to the school from the Upper Quarter collect together into a group, veiled, and, under the supervision of their teacher Repeka Santurdjian, walk through the market and other Turkish streets to their school. In the evening the same thing is repeated and the girls return to their homes in the Upper Quarter. 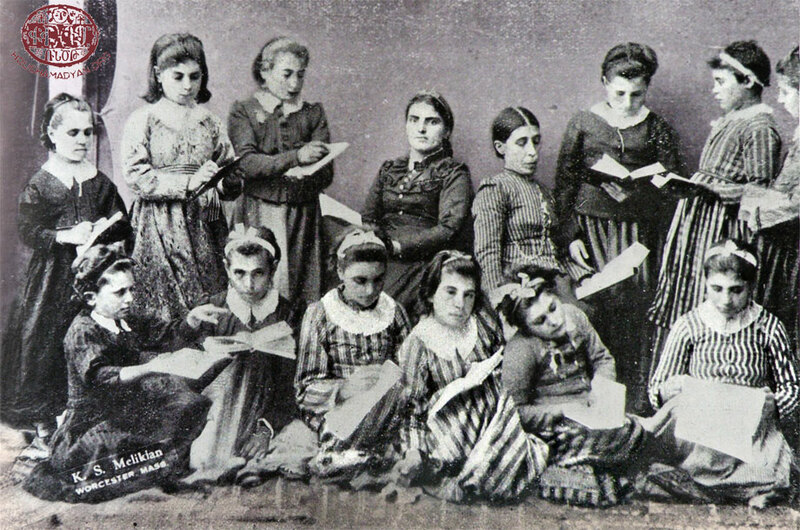 The first graduates of the Smpadian Girls’ School are: Hripsime Yeramian (later Takesian), Lousia Tervizian (later Dindjian), Nazli Sarnetsian (later Eoksuzian) and Maritsa Der-Stepanian. The first principal is Mrs Partoghian. 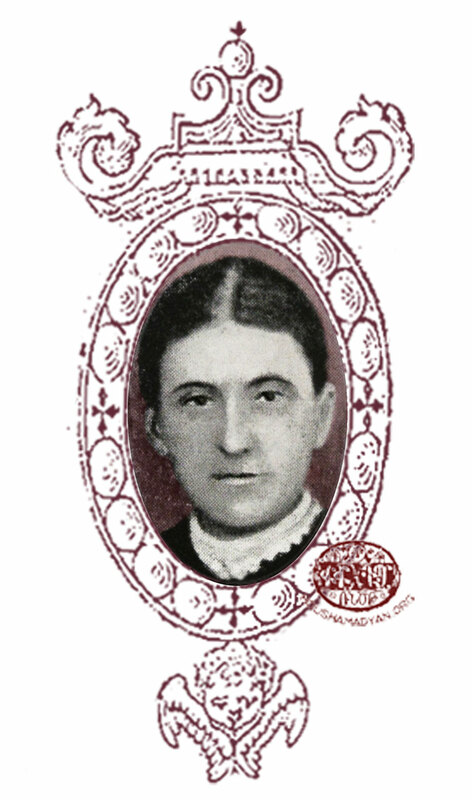 Among the teachers that are remembered are: Mariam Enfiedjian (later Avakian), Miss Khumar, ‘The lame teacher’ (Topal Varjuhi), Miss Elbis (from Istanbul), Repeka Santurdjian, Repeka Kiurkdjian (later Torosian), Maritsa Srabian, Rev Mesrob, Sultan-Araksi Nalbandian, Aghavni Tashjian, Aghavni Harutiunian, Satenig Harutiunian, Terviz Khorushian, Baidzar Nahigian, Makruhi Gudanian, Yester Maliemezian, Aghavni Yeshilian, Hripsime Yeramian, Yeghisapet Hagopian and Haiganush Khayadjian. The Smpadian School remains closed after the 1895 anti-Armenian massacres. After re-opening, it is only the Girls’ department that continues to operate under the name ‘Girls’ Gymnasium’. 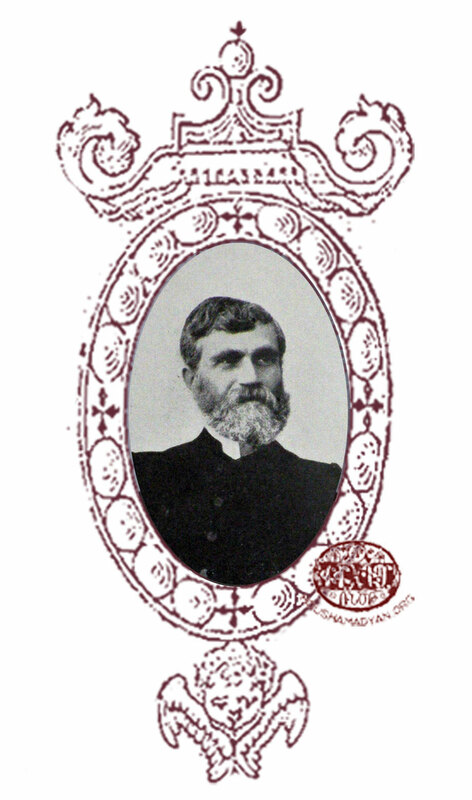 During these years the principal is Rev Vartan Arslanian (Agn 1863 – killed in 1915), who at the same time teaches history and religion. It is located next to the St Garabed church in the Lower Quarter and very close to the Assyrian quarter. The church was rebuilt in the 1870s. The school building is located on the second floor. The first floor is used as a courtyard and it is here that lessons are held in summer. This part of the building is also the church’s narthex. There is also a fountain with a basin in front of it located here where the local people come to get water. The first school is only for boys. Just before the start of the First World War there were 60-70 boys attending it. Those completing the courses generally either go into a trade or continue their education in another establishment. In 1880 a new principal is appointed, Hagop Simonian, during whose time in office the school is reorganised and enjoys a period of swift development. The trusteeship of the school is taken up by the Dikidjian, Geoldjikian, Fermanian, Zulumian, Tervizian, Tiufenkdjian, Yeghiayian, Vartigian and Tumadjanian families. It belongs to the Armenian Protestant community. It is located in the Lower Quarter, above the ‘Bitter Fountain’. It is a two storey building, opposite the town’s historic castle and is very close to the Catholic educational establishments. At the beginning it was a simple first school, but from 1900 it has a secondary school department. About 150-200 girls attend this school every year, and go to Euphrates College to obtain their higher education. It is located in the quarter of Harput town known as Keshish Meidan, next to St Stepannos church. The church has been rebuilt in the 1880s. The school is a two storey building and accepts 50-60 students every year. It is for boys only. Those who finish this school’s curriculum and want to continue their education go to St Hagop Central School (the ‘Red School’) or Euphrates College. These schools have been founded in 1893 in the town’s Upper Quarter, under the castle walls. The founder is the Capuchin monk Father Ludovic. 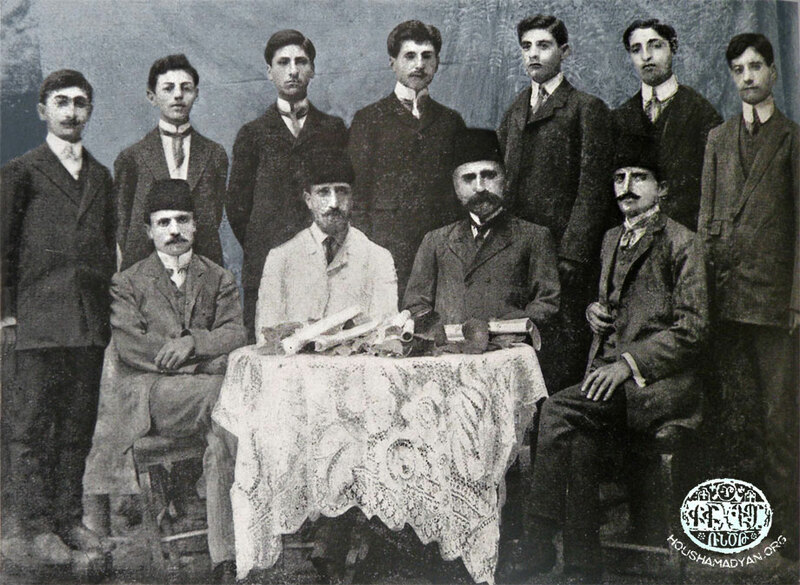 Kegham Samuelian, Aram Srabian (killed in 1915), Sarkis Berberian, Bedros Tenekejian, Abuna Adrianos, Père (Father) Louis Minasian (Harput 1879 – 1956), Hovagim Demirdjian, Garabed Ghazarosian, Mehmed Effendi, Kasbar Rupenian, Karekin Devedjian and Surian Dasho. The students have to be present at the Catholic Mass celebrated in Latin every morning in the school and the recitation of the rosary in the evenings. The girls’ high school is called St Claire. This too is located in the Lower Quarter. The school buildings were once the property of the Assyrian Naman family; the Capuchin fathers, buying the property from them, have converted it into the school. Between 200 and 250 girls attend this high school. In the first years Father Ludovic held the office of principal. The principal has later been Azniv Minasian (later Kayekdjian), having two Assyrian assistants, Misses Sara and Shamiram. This principal has been succeeded by her sister, Yughaper Minasian, who is a graduate of Euphrates College and had taught in that same establishment for a time. Tjkhuhi Shushanian, Azniv Minasian, Mariam Berberian, Mariam Boyadjian, Mariam Tashjian, S Tenekejian and Y Garabedian. 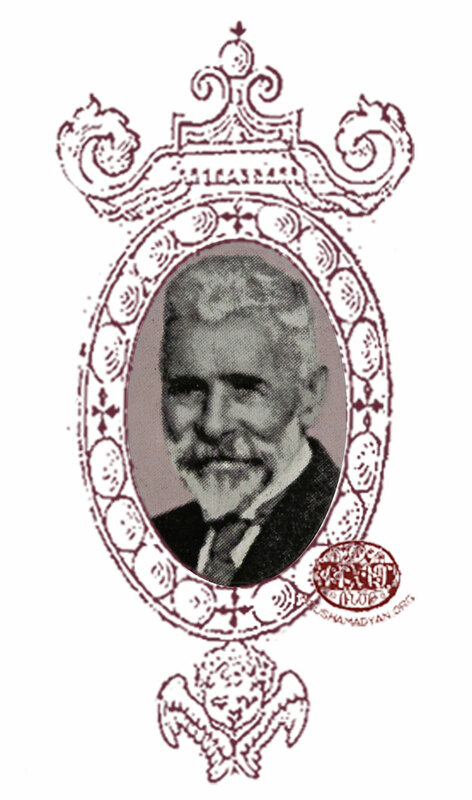 The most notable teacher is considered to be Father Tateos Tovmadjian (Harput 1864 – 1935), who was a member of the Mekhitarist order. 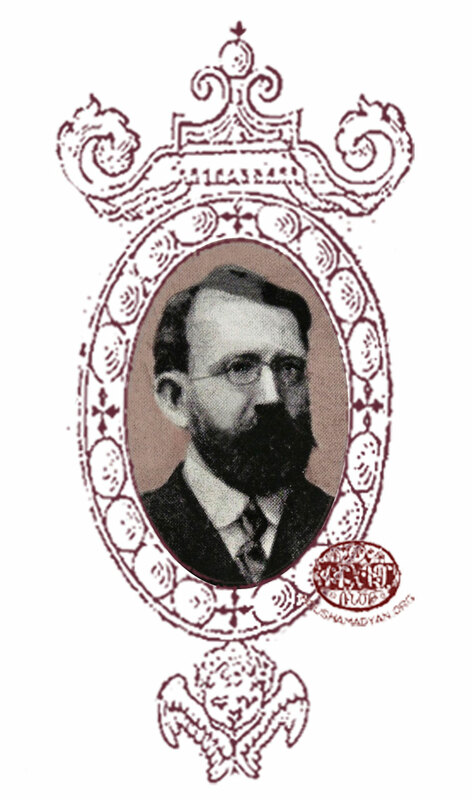 He held this position from 1894 to 1904, teaching Armenian language, Armenian literature and Armenian history. Selçuk Akşin Somel, The modernization of public education in the Ottoman Empire, 1839-1908, Brill, Leiden/Boston/Köln, 2001 pp. 42-43. Somel, pp. 202-204; Benjamin C. Fortna, Imperial classroom. Islam, the State, and Education in the Late Ottoman Empire, Oxford University Press, Oxford/New York, 2002, pp. 50-60. Vahé Haig, Harput and its golden plain, New York, 1959, pp. 315, 405 [in Armenian]; Pilibbosian (Editor), Yeprad College Memorial..., pp. 24-25. 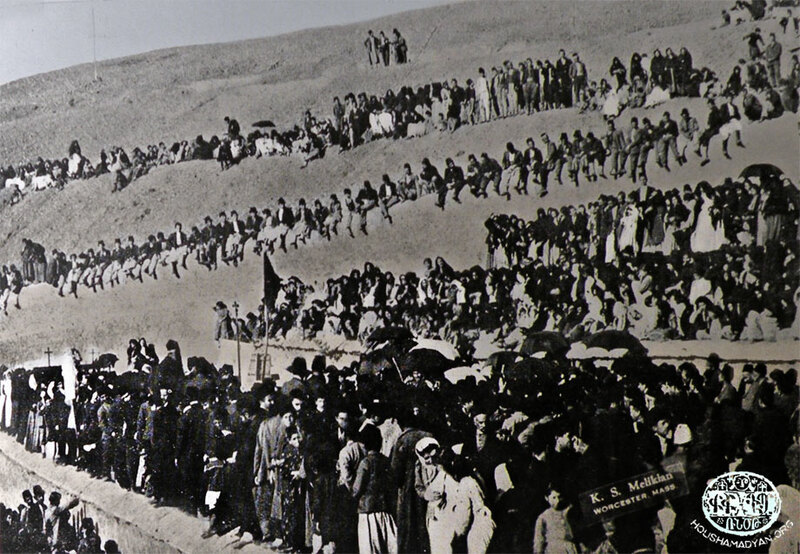 Vahé Haig, Harput and its golden plain…, p. 803. 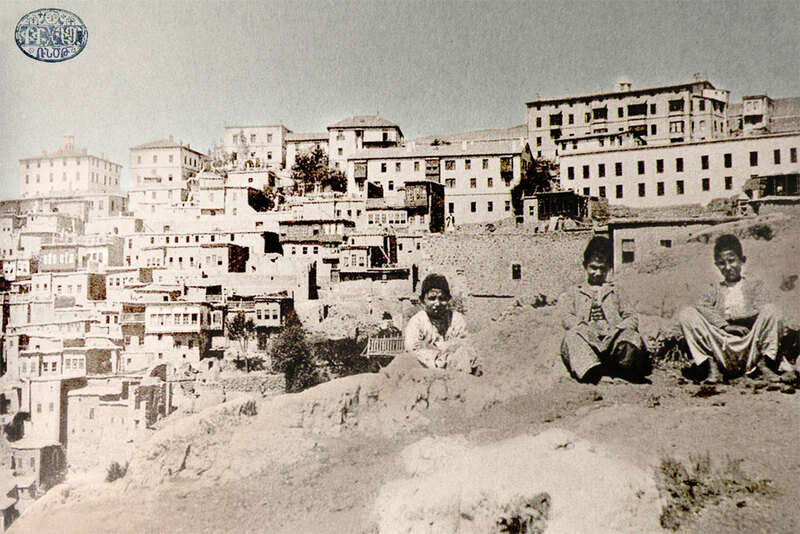 Vahé Haig, Harput and its golden plain…, p. 311-315; Aharonian, Hussenig, p. 42. Vahé Haig, Harput and its golden plain…, pp. 317-318. Vahé Haig, Harput and its golden plain…, pp. 327-328; Stina Katchadourian (edited by), Great need over the water. The letters of Theresa Huntington Ziegler, missionary to Turkey, 1898-1905, Gomidas Institute, Ann Arbor, Michigan, 1999, p. 63; Pilibbosian (Editor), Yeprad College Memorial..., pp. 37-38. Frank Andrews Stone, ‘The heritage of the Euphrates (Armenia) College’, in Richard Hovannisian, Armenian Tsopk/Kharpert, Mazda publishers, Costa Meza, California, 2002, p. 211. Vahé Haig, Harput and its golden plain…, pp. 328-329, 364; Stone, The heritage of..., p. 177-178; Catalogue of Euphrates college, 1911-1912, Harpoot, Turkey, p. 6. Vahé Haig, Harput and its golden plain…, p. 330. Hans-Lukas Kieser, Der verpasste Friede. Mission, Ethnie und Staat in den Ostprovinzen der Türkei 1839-1938, Chronos, Zurich, 2000, p. 196; Vahé Haig, Harput and its golden plain…, pp. 330-331. Stone, The heritage of..., p. 216. Vahé Haig, Harput and its golden plain…, p. 340. 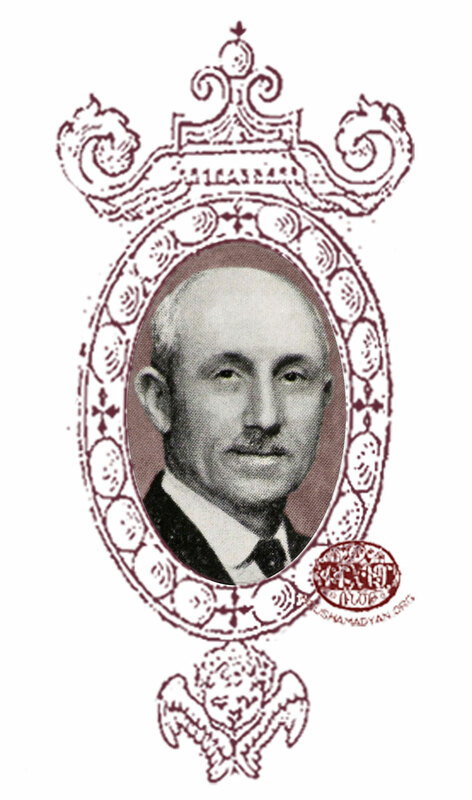 Frank Andrews Stone, Academies for Anatolia. A study of the rationale, program, and impact of the educational institutions sponsored by the American Board in Turkey, 1830-2005, Caddo Gap Press, San Francisco, 2006, pp. 173-174; Vahé Haig, Harput and its golden plain…, pp. 332, 363; Catalogue of Euphrates college…, p. 13. 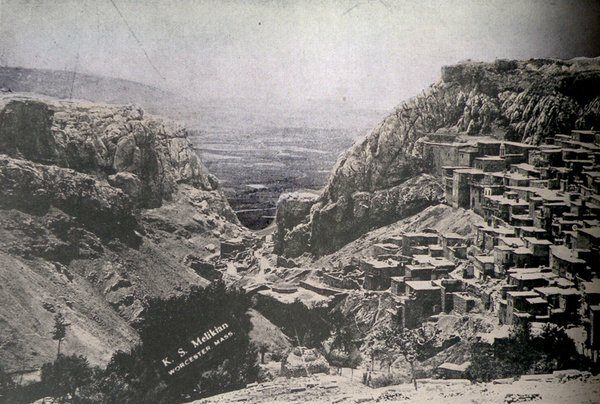 Vahé Haig, Harput and its golden plain…, pp 334, 336. Ibid., pp. 346-347, 358-360, 365; Pilibbosian (Editor), Yeprad College Memorial..., pp 16. Vahé Haig, Harput and its golden plain…, p. 338; Stone, Academies for Anatolia…, p. 170. Vahé Haig, Harput and its golden plain…, pp. 322-324. Ibid., p. 326; Pilibbosian (Editor), Yeprad College Memorial..., pp. 44-45. Vahé Haig, Harput and its golden plain…, pp. 327-330; Djizmedjian, Kharpert and its sons…, pp. 128-133. Catalogue of Euphrates college…, p. 37; Vahé Haig, Harput and its golden plain…, p. 333. Catalogue of Euphrates college…, p. 38. Vahé Haig, Harput and its golden plain…, pp. 335, 371-378. Stone, Academies for Anatolia…, p. 171. Vahé Haig, Harput and its golden plain…, pp. 341-343; Djizmedjian, Kharpert and its sons…, p. 134. Vahé Haig, Harput and its golden plain…, p. 336; Djizmedjian, Kharpert and its sons…, pp. 134-135. Vahé Haig, Harput and its golden plain…, pp. 349-350. Catalogue of Euphrates college…, p. 39. Vahé Haig, Harput and its golden plain…, pp. 348-350. Vahé Haig, Harput and its golden plain…, pp. 389-401, 603-609, 622-623; Djizmedjian, Kharpert and its sons…, pp. 149-152, 355-357. Vahé Haig, Harput and its golden plain…, pp. 402-408, 491; Djizmedjian, Kharpert and its sons…, pp. 142-148, 157-158. Vahé Haig, Harput and its golden plain…, pp. 489-493; Djizmedjian, Kharpert and its sons…, p. 102. Vahé Haig, Harput and its golden plain…, p. 504. Djizmedjian, Kharpert and its sons…, pp. 102, 152. Vahé Haig, Harput and its golden plain…, pp. 495-498; Djizmedjian, Kharpert and its sons…, pp. 102, 152. Vahé Haig, Harput and its golden plain…, pp. 501-503; Djizmedjian, Kharpert and its sons…, pp. 159-161; Kieser, Der verpasste Friede…, pp. 93, 208-210. Vahé Haig, Harput and its golden plain…, pp. 434-435. Do you know other things about the Armenian schools in Harput? 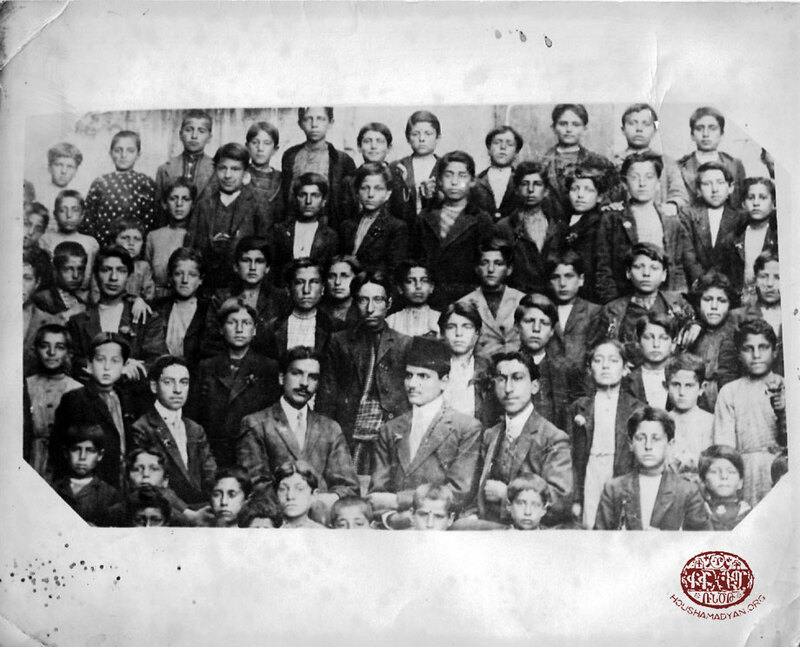 Do you know the students (both male and female) who attended Armenian schools there, as well as the names of the teachers who served in them? Do you have additions or objections to the information contained in this article?